Dear colleagues worldwide, we are glad to invite you to MOL2NET-05, International Conference on Multidisciplinary Sciences, ISSN: 2624-5078, MDPI SciForum, Basel, Switzerland, 2019. MOL2NET is a year-round conference series with multiple associated workshops worldwide running and open to submissions almost all the year, please read [Workshops Schedule]. The topics of interest include, but are not limited to, Chemistry (All areas), Mathematics (Applied), Physics (Applied), Materials Science, Nanotechnology, Biology and Life Sciences (All areas), Medicine, Biomedical Engineering, Education, along with Computer Sciences, Data Analysis, Statistics, Artificial Intelligence, Deep Learning, Bioinformatics, Systems Biology, and Complex Networks Sciences. We suggest you to download the [Template File] to write your communication and to read carefullythe [Instructions to authors] about publication model, copyright, authors responsibilities, etc. MOL2NET runs both online and/or in person workshops in host universities worldwide and at the SciForum platform maintained by the editorial MDPI, Basel, Switzerland. The Scientific Headquarters (HQs) of this conference series are in the Faculty of Science and Technology, University of Basque Country (UPV/EHU), Biscay. However, the idea of this multidisciplinary conference emerged from the melting pot formed as the result of multiple collaborations of professors from many centers worldwide. Locally, the founders and strongest supporters of the conference are professors endowed by IKERBASQUE, Basque Foundation for Sciences, professors from the two departments Department of Organic Chemistry I and Department of Organic Chemistry II of the University of Basque Country (UPV/EHU), and professors from the Department of Computer Sciences of the University of Coruña (UDC). 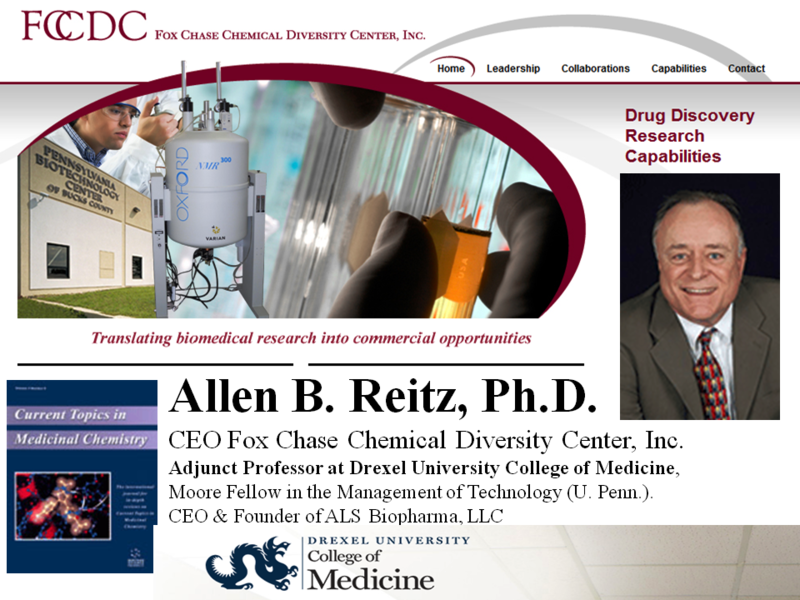 Internationally, professors from Dept of Biological Chemistry & Molecular Pharmacology (BCMP), Harvard Medical School, USA; the Center for the Study of Biological Complexity of the Virginia Commonwealth University (VCU), USA; the Natural Resources Research Institute, of the University of Minnesota, USA; CNRS-Université Paris-Sud, Paris, France, and other institutions are also founders and/or supporters of this conference, please see full committees lists [Honor Committee] [Co-Chairs Committee] [Scientific Committee (Abroad)] [Scientific Committee (Local)] and [MOL2NET-IKERBASQUE Staff]. The acronym MOL2NET summarizes the running title of this conference: FROM MOLECULES TO NETWORKS. This lemma is inspired by the possibility of spreading the knowledge about multiple topics by promoting multidisciplinary collaborations in science with conferences including topics ranging from quantum world to large social networks. In this sense, the spirit of this conference is in consonance with the lemma EMAN TA ZABAL ZAZU (Give and extend knowledge). This anthem from the 19th century is written in Basque language (Euskera) and is used now a days as the official motto of the University of Basque Country (UPV/EHU). General Schedule: MOL2NET International Conference Series on Multidisciplinary Sciences, MDPI Sciforum, Basel, Switzerland has online and/or in person workshops (>10) associated. The conference usually runs online at the online platform SciForum maintained by the editorial MDPI, Basel, Switzerland. The platform is open on a year-round basis almost all the days of the year in course. We have this modality for practical reasons; e.g., accommodation of many workshops in different dates along the year, flexible reception of communications, etc. Submission and Publication of communications: As we mentioned before, in the practice, the online platform is open at the beginning of the year in course and continue open all the year for submissions of communications. However, the associated workshops may open in different dates along the year (see specific workshop pages). Submission of papers to all workshops is open until the last days of the year in course or the first days of the following. The publication of communications is continuous all the year upon acceptance. Schedule for Online participation: After publication of papers is closed we open the online platform for online participation. The authors will be able to post online comments and/or answers to comments in this workshop/section and also in the other general sections and/or >10 international workshops of the MOL2NET conference (many of them also run both online and in person). The participants are entitled to receive participation certificates for MOL2NET conference and all the workshops they participate upon request to the respective chairpersons. See committees of MOL2NET and each workshop. Schedule for in person participation: Many of the workshops associated to MOL2NET are going to be held also in person (face-to-face) in different universities of USA, Spain, Italy, Mexico, Chile, etc. This in person workshops have specific schedules in parallel to their online versions. Please, go to the homepages of these workshops and/or contact their chairpersons for further details. Notes for participants: MOL2NET conference runs both online (general sections) and/or in person (associated workshops). No physical presence is needed for online participation saving traveling costs. We accept experimental works, theoretical works, or experimental-theoretic works in the areas mentioned. Proceedings will be Published Online, Open Access, and Totally Free of Charges (no cost). For details about in person (face-to-face) participation on associated workshops contact the respective members of the local committees. Before to submit your communication recommend to download and use the [Template File] to write your communication; we strongly recommend you to read carefully the following information about publication model, copyright, authors responsibilities, etcFirstly, be aware that the works published here belongs to two main modalities preliminary communications or comments on previous works. Preprints. These are short communications of unpublished results but they are not post-print journal papers. In this sense, committee and/or external reviewers check only scope and apparent scientific soundness. They have the same editorial process than for an online Preprint service. 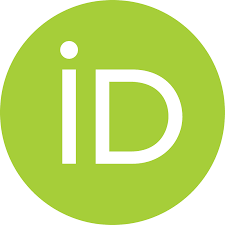 Therefore, all works receive doi number and are indexed in databases (GoogleScholar, Publons, etc. ).The works may receive also comments from registered participants (public post-publication review). The authors are encouraged to submit their works to a peer-reviewed scientific journals of MDPI or other editorials during or after finalization of the conference, as per SciForum copyright rules. Research Highlights. These short communications are comments on already published papers. They are short notes to comment about the more interesting points, highlights, etc. of works previously published by the authors or other groups. In this case, committee and/or external reviewers check also only scope and apparent scientific soundness. The works may receive also comments from registered participants (public post-publication review). In all cases, is responsibility of authors, to perform a checking similarity, ensure veracity of contents, and carry out a proper citation of previous works. The committee is not responsible of the previous aspects in this publishing modality. Consequently, the opinions expressed on the communications are not necessarily coincident to the opinions of the members of the committees. In this sense, we strongly recommend the authors to use online text-similarity checking services. These tools may help authors to avoid any form of plagiarism or copyright violation. The authors may be requested to modify the communication (re-write their texts) in the case that high similarity is detected and reported to the committee. In these cases, the manuscript could be put on standby or withdrawn temporarily until the authors re-submit the proper version. The authors are also allowed to submit short reviews, comments, letters, or discussions of papers already published if they guarantee sufficient difference to previous public contents. (1) Committee membership (nomination or personal application for membership in honor, steering, or scientific committees). (2) Guest-Editor of JCR MDPI journal issue (help to propose, editing, announce your special issue in one of the MDPI journals). (3) Chairperson of workshop (publishing an online or in person workshop of your institution with you as chairperson). (4) Sponsor of conference (including logo, description, flyer, and link to homepage of your institution). (5) Speaker (publication of video conferences with cover poster, issn, isbn, and doi number). Molecules (Call For Papers): Special Issue: Computational Methods for Drug Discovery and Design. Journal: Molecules (ISSN 1420-3049), JCR IF = 3.098. Topics: molecular modeling; molecular simulations; computational biochemistry; computer-aided drug design; protein kinase inhibitors. Editor: Prof. Julio Caballero. Email: [email protected], Centro de Bioinformática y Simulación Molecular (CBSM), Facultad de Ingeniería, Universidad de Talca, Casilla 747, Talca 3460000, Chile. Molecules (Call For Papers): Special Issue: GPCR Mechanism and Drug Design. Journal: Molecules (ISSN 1420-3049), JCR IF = 3.098. Topics: data science; drug design and discovery; computational chemistry; structural biology; molecular modeling; molecular docking; computational mutagenesis; G-protein-coupled receptors; protein–protein interactions; protein–ligand interactions. Editor: Dr. Irina Moreira, Email: [email protected], Center for Neuroscience and Cell Biology (CNC), University of Coimbra (UC), Portugal. Workshop Associated: EJIBCE, Encontro de Jovens Investigadores de Biologia Computacional e Estrutural, Portugal, 2018. Molecules (Call For Papers): Special Issue: Structure and Function of Metalloenzymes. Journal: Molecules (ISSN 1420-3049), JCR IF = 3.098. Topics: catalytic power of enzymes; computer-aided drug design; bio-desulfurization; computational methods in chemistry and biochemistry; metalloenzymes; biological membranes; docking and virtual screening; computational enzymatic catalysis. 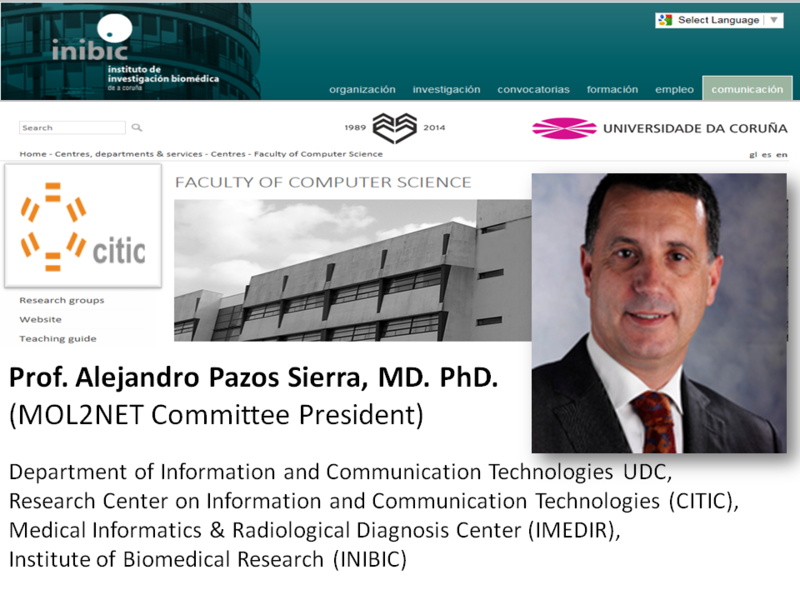 Editor: Dr. Sérgio Filipe Sousa, Email: [email protected], UCIBIO/REQUIMTE, BioSIM - Departamento de BioMedicina, Faculdade de Medicina da Universidade do Porto, Porto, Portugal. 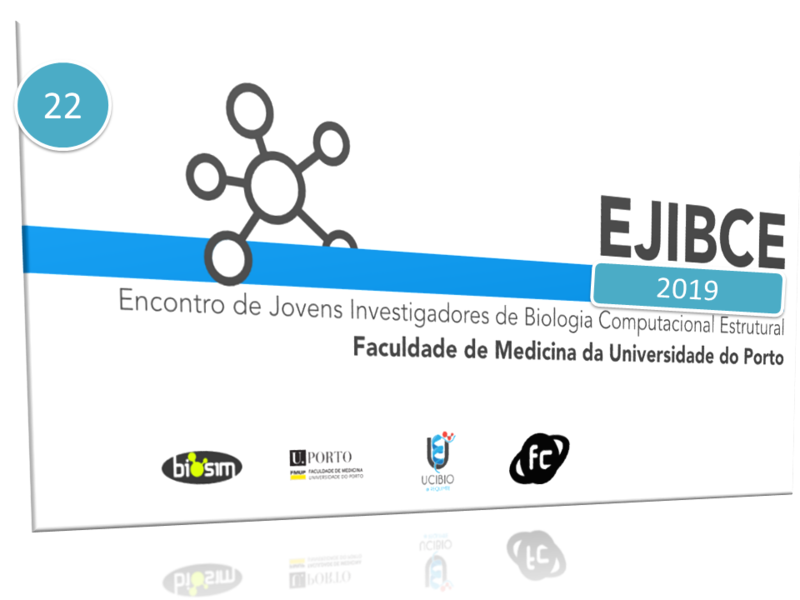 Workshop Associated: EJIBCE, Encontro de Jovens Investigadores de Biologia Computacional e Estrutural, Portugal, 2018. IJMS (Call For Papers): Special issue entitled: QSAR and Chemoinformatics Tools for Modeling. Journal: International Journal of Molecular SciencesIJMS (ISSN 1422-0067), JCR IF = 3.257. Topics: Chemometrics, QSAR/QSPR, Multi-criteria decision making, Molecular descriptors, Software development, Editor: Prof. R. Todeschini, University of Milano-Bicocca, Italy. IJMS (Published): Special issue entitled: Data Analysis in Molecular Sciences. Journal: International Journal of Molecular SciencesIJMS (ISSN 1422-0067), JCR IF = 3.257. Topics: Cheminformatics, Computational Chemistry, Bioinformatics, Data Analysis, Proteomics, Biological Networks, Editors: Prof. González-Díaz H, University of the Basque Country UPV/EHU, Biscay, Spain. Prof. R. Todeschini, University of Milano-Bicocca, Italy, Prof. A. Pazos Sierra, University of Coruña UDC, Spain, Prof. S. Arrasate, University of the Basque Country (UPV/EHU), Biscay, Spain. Nanomaterials (Published): Special issue entitled: Experimental Nanosciences, Computational Chemistry, and Data Analysis. Journal Nanomaterials (ISSN 2079-4991), JCR IF = 3.55. Editors: Prof. González-Díaz H, UPV/EHU, Spain, Prof. B. Rasulev , NDSU, USA,Dr. Shameer Khader, Philips, Cambridge, MA, USA, Prof. H. Kušić, UZ, Croatia. Entropy (Call for Papers): Special issue entitled: Biological Statistical Mechanics. Journal Entropy (ISSN 1099-4300), JCR IF = 1.821. Topics: cell differentiation, biocomplexity, order and organization, ecology, epidemics, correlation dynamics, complex networks, systems biology. Editors: Prof. Alessandro Giuliani. Environment and Health Department, Istituto Superiore di Sanità, Roma 00161, Italy. Prof. Mariano Bizzarri, Department of Experimental Medicine, Systems Biology Group Lab, Sapienza University of Rome, Rome, Italy. Entropy (Call for Papers): Special issue entitled Graph and Network Entropies. Journal Entropy (ISSN 1099-4300), JCR IF = 1.821. Topics: network sciences; walk entropies; algegraic graph theory; spectral methods; matrix functions. 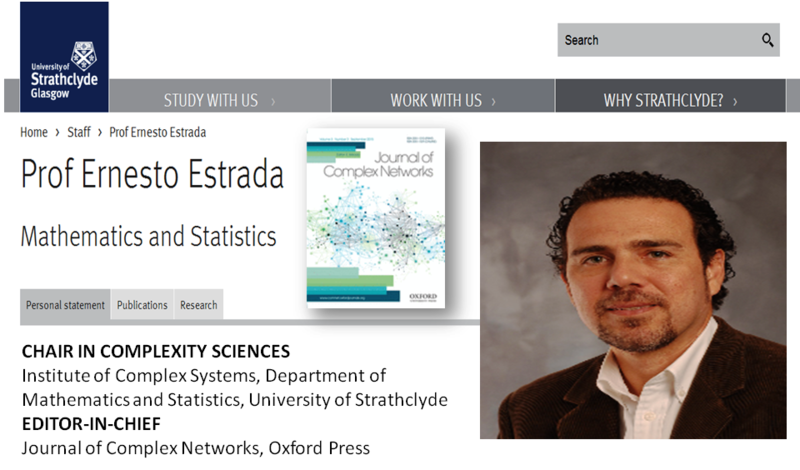 Editor: Prof. Dr. Ernesto Estrada, Department of Mathematics & Statistics, University of Strathclyde, Glasgow G11XQ, UK. In addition, you can participate both online or in person (face-to-face) in some of the workshops we organize in different universities worldwide (see workshops section). Publication of all communications of the workshops will be also online via the platform SciForum. We welcome proposals for organization of workshops in different universities. Please, do not hesitate to contact conference chairperson and/or scientific committee presidents. Some of the workshops planned to be held in 2018 edition are: SRI-10, St. Thomas University (STU) and Miami Dade College (MDC), Miami, FL, USA (Multidisciplinary Sciences); WCUCW-02, West Coast University (WCU), Miami, FL, USA (Multidisciplinary Sciences); WMCUP-01, University of Padova (UP), Padova, Italy (Medicinal Chemistry); LAWSCI-01, University of the Basque Country UPV/EHU, Bilbao, Spain (TICs, Bioethics, Social, and Legal Sciences), etc. ; see other workshops in the list of sections at left panel. MOL2NET-04, the 4rd edition of this conference series, was held in 2018. This conference received >300 communications, submitted by >700 authors registered, and included >10 workshops in: USA, France, Spain, Portugal, Brazil, India, etc. Some of the world top universities and centers represented in the lists of committee members and/or authors were: Harvard Medical School, Boston, USA; Stanford School of Medicine, USA; Virginia Commonwealth University (VCU), USA; University of Minnesota Duluth, MN, USA; Conservatoire National des Arts et Métiers, CNAM París, France; University of Pennsylvania, USA; Miami Dade Collegue (MDC), USA; EMBL-EBI European Bioinformatics Institute, Cambridge, UK; CAS Chinese Academy of Science, China; ZJU Zhejiang University, China. MOL2NET-03, the 3rd edition of this conference series, was held in 2017. This conference received >250 communications, submitted by >450 authors registered, and included >10 workshops in: USA, Spain, Portugal, Brazil, etc. Some of the world top universities and centers represented in the lists of committee members and/or authors were: Harvard Medical School, Boston, USA; Stanford School of Medicine, USA; Virginia Commonwealth University (VCU), USA; University of Minnesota Duluth, MN, USA; Conservatoire National des Arts et Métiers, CNAM París, France; University of Pennsylvania, USA; Miami Dade Collegue (MDC), USA; EMBL-EBI European Bioinformatics Institute, Cambridge, UK; CAS Chinese Academy of Science, China; ZJU Zhejiang University, China. 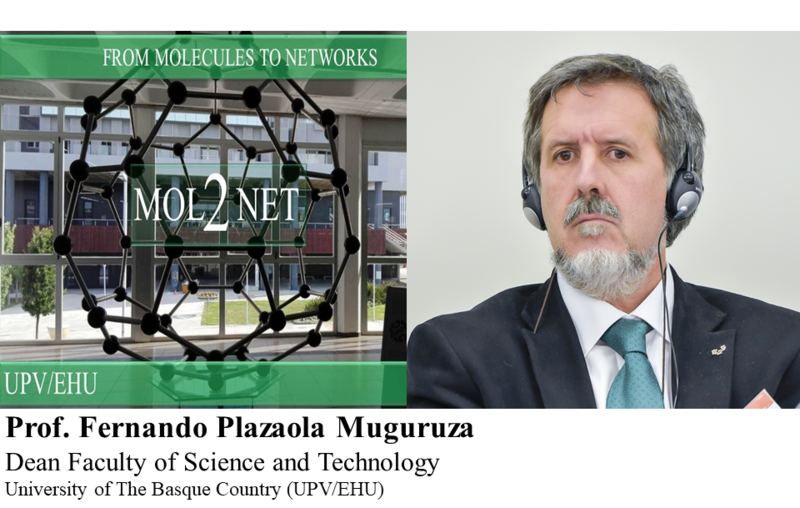 MOL2NET-02, the 2nd edition of this conference series, was held in 2016. This 2nd conference published 150 communications of 400+ authors 30+ universities of 20+ countries. Some of the world top universities and centers represented in the lists of committee members and/or authors were: Harvard Medical School, Boston, USA; Stanford School of Medicine, USA; Virginia Commonwealth University (VCU), USA; University of Minnesota Duluth, MN, USA; Conservatoire National des Arts et Métiers, CNAM París, France; University of Pennsylvania, USA; Miami Dade Collegue (MDC), USA; EMBL-EBI European Bioinformatics Institute, Cambridge, UK; CAS Chinese Academy of Science, China; ZJU Zhejiang University, China. MOL2NET-01, the first edition of this conference series, was held in 2015. This first conference attracted more than 100 papers and 300+ authors and/or committee members representing 30+ universities of 20+ countries. Some of the world top universities and centers represented in the lists of committee members and/or authors were: Harvard Medical School, Boston, USA; Stanford School of Medicine, USA; Virginia Commonwealth University (VCU), USA; University of Minnesota Duluth, MN, USA; Conservatoire National des Arts et Métiers, CNAM París, France; University of Pennsylvania, USA; Miller School of Medicine, University of Miami, USA; EMBL-EBI European Bioinformatics Institute, Cambridge, UK; CAS Chinese Academy of Science, China; ZJU Zhejiang University, China. We are uploading flyers and promotional videos (in different languages) to the MOL2NET accounts in different social networks such as: FACEBOOK group with >10000 followers; RESEARCHGATE project, LINKEDIN, and TWITTER account @mol2net. In addition, we have uploaded topic-specific pages with lists of contacts of people related to the conference. In this page you can find people with research interests focused on one specific area such as Organic Chemistry, Computational Chemistry, Materials or Nanoscience, etc. 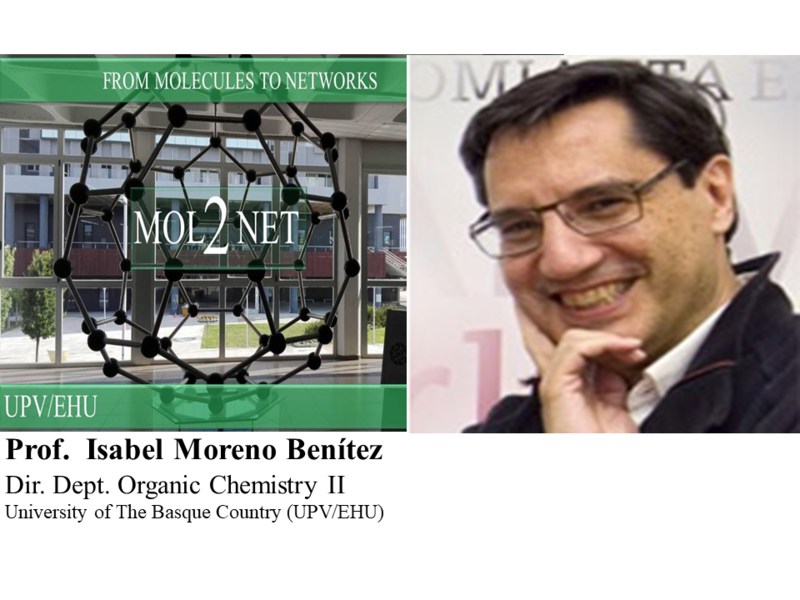 MOL2NET conference series is inspired on various Sciforum conference series, specially on the ECSOC Electronic Conference Series in Organic Chemistry organized during more than 20 years (22nd edition in 2018) by Prof. Julio Seijas at Department of Organic Chemistry, Faculty of Sciences, Campus Lugo, University of Santiago de Compostela (USC), Spain. 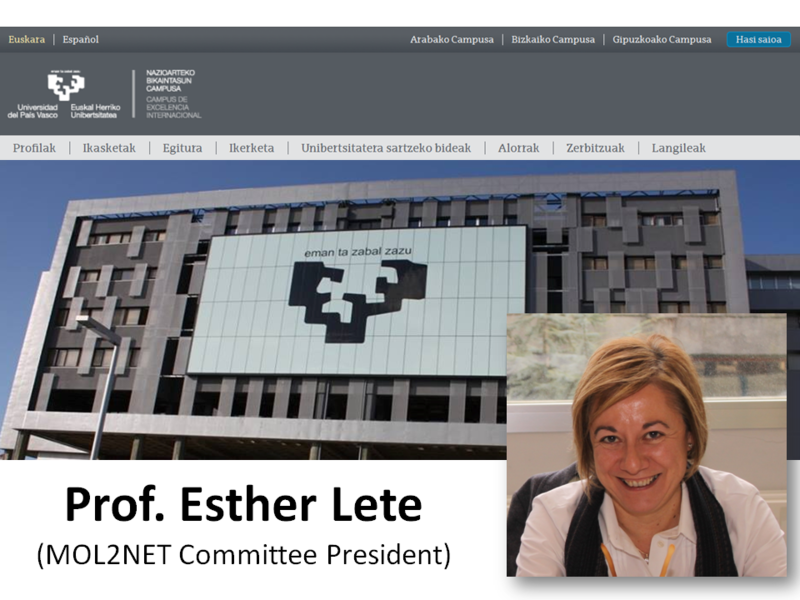 In consonance, we are glad to list Prof. Siejas in the scientific committee of MOL2NET and we invite all colleagues to participate also in ECSOC conference. In addition, MOL2NET committee members would like to recommend other conferences with some topics in common such as: IWBBIO, International Work-Conference on Bioinformatics and Biomedical Engineering, Chairperson: Prof. Ignacio Rojas, et al., Univerity of Granada, 2018 edition. 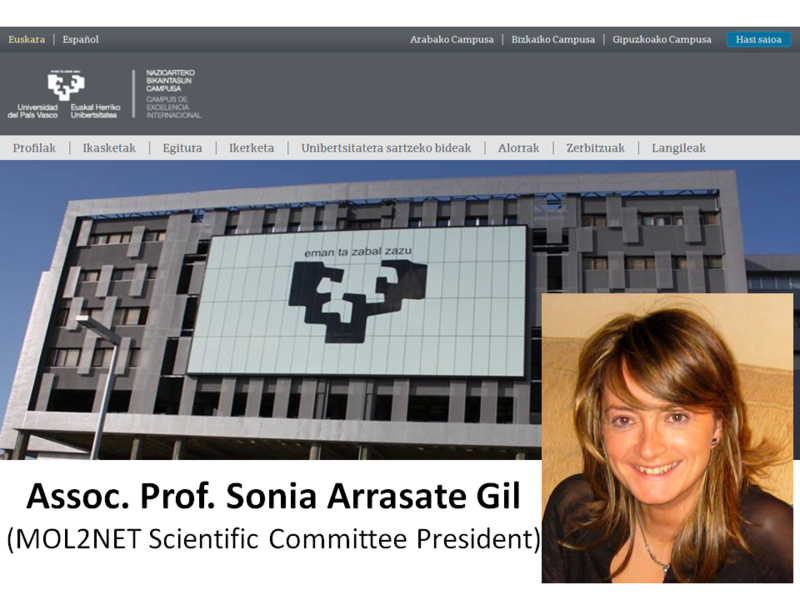 NetSci: International School and Conference on Network Science. (1) Department of Organic Chemistry II, University of the Basque Country UPV/EHU , 48940, Leioa, Biscay, Spain. (2) IKERBASQUE, Basque Foundation for Science , 48011, Bilbao, Biscay, Spain. Department of Organic Chemistry II, University of the Basque Country UPV/EHU , 48940, Leioa, Biscay, Spain. IKERBASQUE, Basque Foundation for Science , 48011, Bilbao, Biscay, Spain. 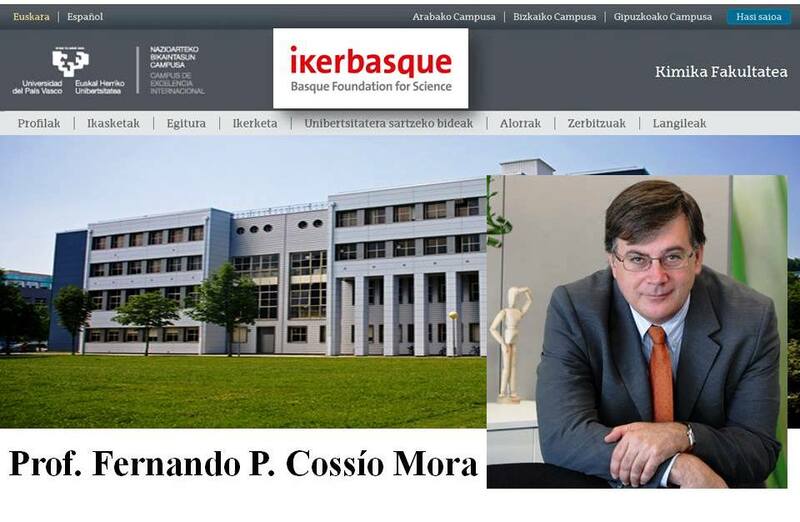 (1) Professor of University of the Basque Country UPV/EHU , endowed by IKERBASQUE, Basque Foundation for Science , 48011, Bilbao, Biscay, Spain. 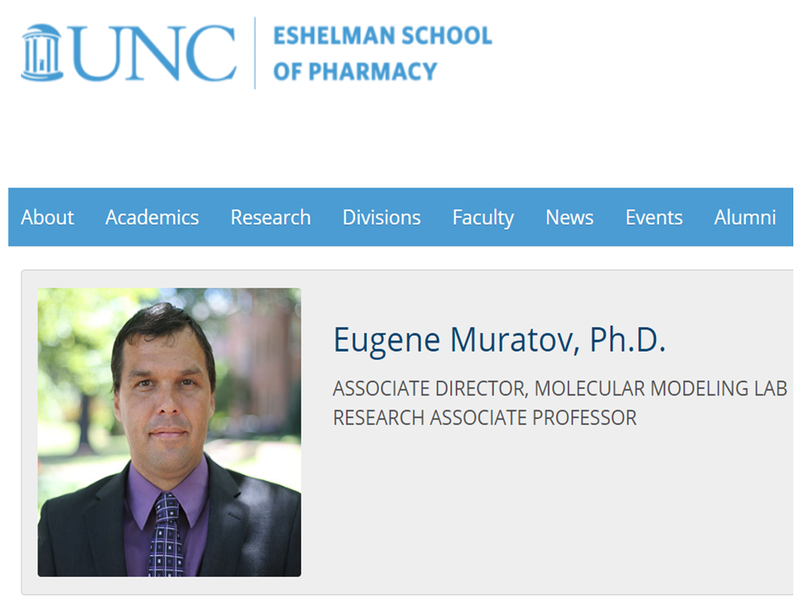 Professor of Cheminformatics and Bioinformatics with more than ten years of experience as lecturer, researcher, editor, and/or chairperson of scientific conferences. Hirsch Index H = 45 with more than 170 JCR research papers, 10 PhD thesis supervised, 2 patents, and 10 software co-authored. (2) Research Interest: Data Analysis Algorithms (Machine Learning, Complex Networks, Cheminformatics, etc.) in Chemistry, Pharmaceutical Sciences, Neurosciences, Nanotechnology, Biotechnology, etc. (3) Accreditation & Metrics: ANECA (Assoc. Prof.), ANEP I3 (Researcher), etc. Publons Top Handling Editor 2016. Hirsch H-index >45 (Web of Science), >200 JCR Papers. (4) Previous Service & Pro-Bono Consulting: Grant Reviewer for H2020-JTI-IMI2 Europe, ERC H2020 COG Europe, NSF USA, BBSRC UK, BMBF Germany, BARD USA-ISR, etc. Europe Editor: Curr Top Med Chem. Referee: Nature Protocols, Chem Reviews, Nuc Acid Research, J Med Chem, Bioinformatics, J Chem Theor Comput, etc. Chairperson: MOL2NET Conference Series, Email: [email protected] *Note: Do not hesitate to send proposals on these topics. *Note: This committee is for MOL2NET Conference Series, to see the committees of each specific workshops associated to the conference visit the page of this workshop. University of Basque Country (UPV/EHU), Donostia - San Sebastián Campus, Gipuzkoa. 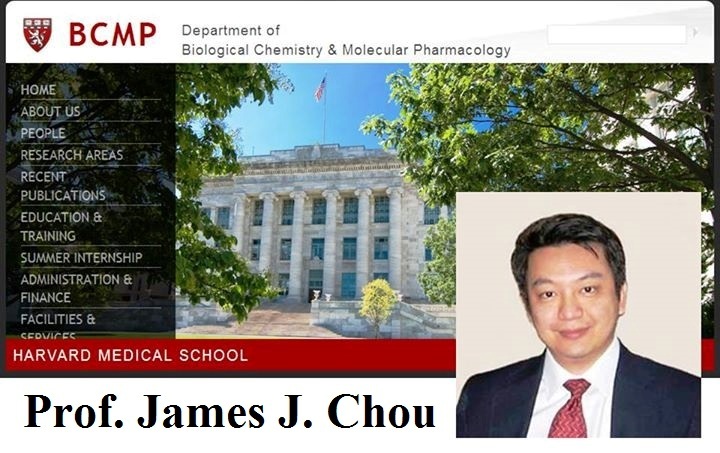 Prof. James J. Chou, Department Biological Chemistry & Molecular Pharmacology (BCMP), Harvard Medical School, Boston, MA 02115, USA. Prof. Jerzy Leszczynski, Dept. 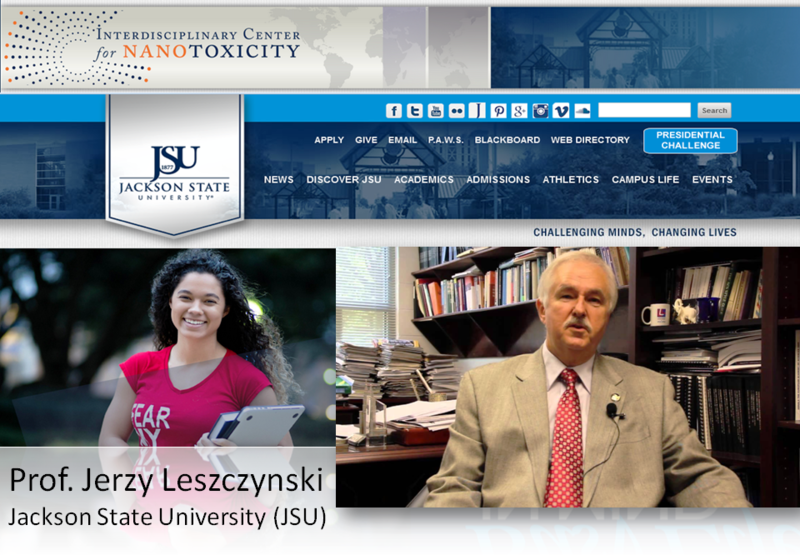 of Chemistry and Biochemistry Interdisciplinary Center for Nanotoxicity (ICN), Jackson State University (JSU), USA. 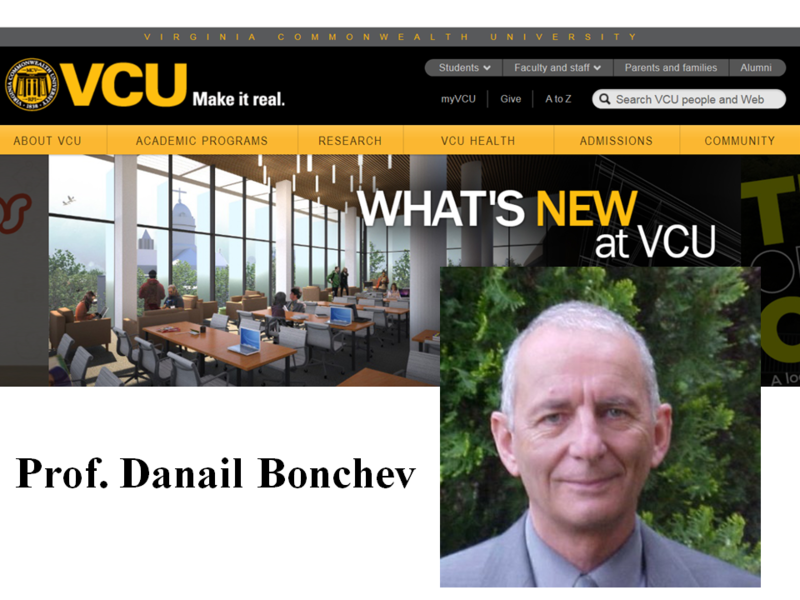 Prof. D. Bonchev, Director of Research on Bioinformatics, Center for the Study of Biological Complexity. Prof., Dept of Mathematics & Applied Mathematics, Virginia Commonwealth University (VCU), USA. Dr. S.C. Basak, (1) Ph.D. Senior Scientist at Natural Resources Research Institute, Center for Water and the Environment (CWE), Duluth, MN, USA. 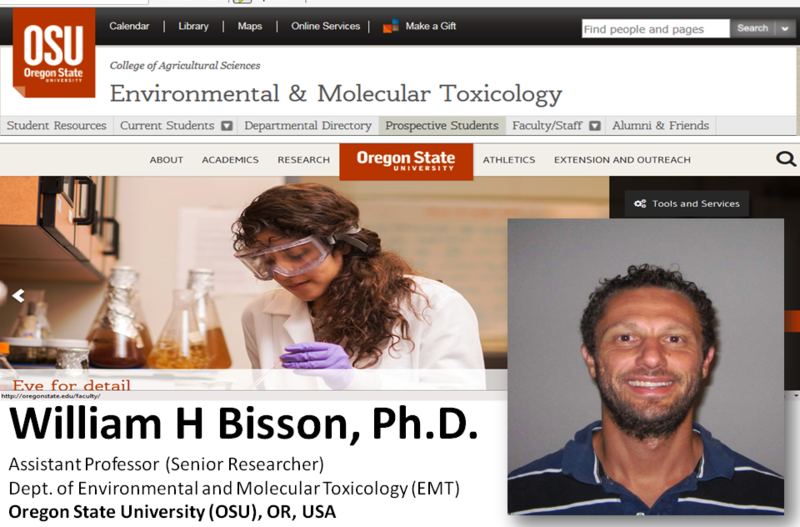 (2) Adjunct Associate Professor, Department of Chemistry, University of Minnesota Twin Cities, MN, USA. 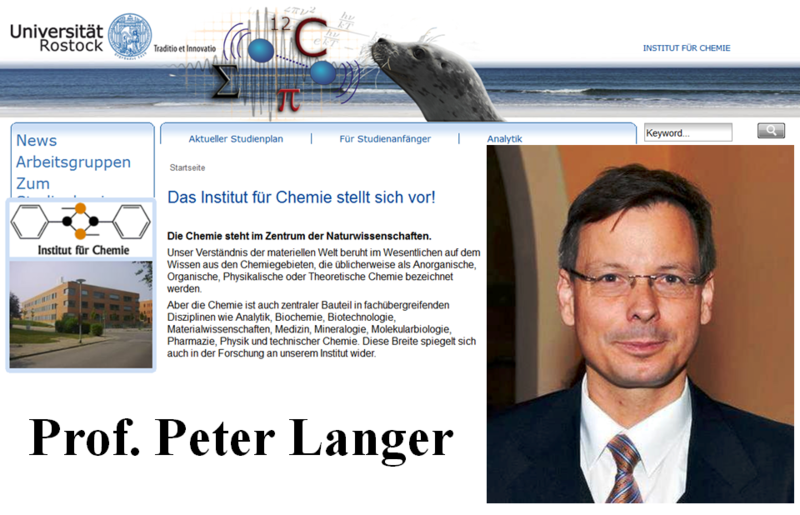 Prof. Dr. Peter Langer, Full Professor (C4) of Organic Chemistry, Vice Director Institute of Chemistry, University of Rostock, Head of the Department of Organic Chemistry. Universität Rostock Institut für Chemie Abteilung für Organische Chemie Albert-Einstein-Straße 3a 18059 Rostock. Prof. Ernesto Estrada Roger, Department of Mathematics and Statistics, Chair in Complexity Sciences, Institute of Complexity Systems, University of Strathclyde Glasgow, G1 1XQ, UK. Editor-in-Chief of Journal of Complex Networks, Oxford Academic Press. 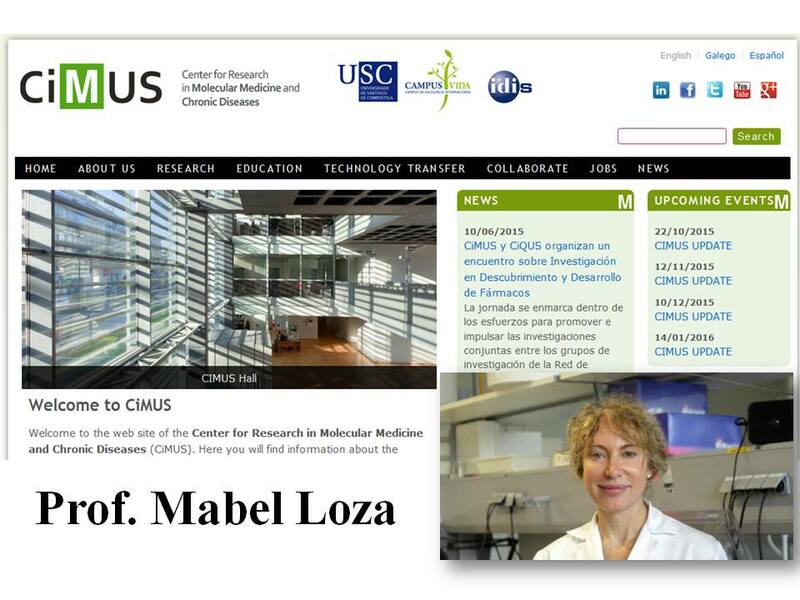 Prof. María Isabel Loza, Department of Pharmacology, USC, Spain. 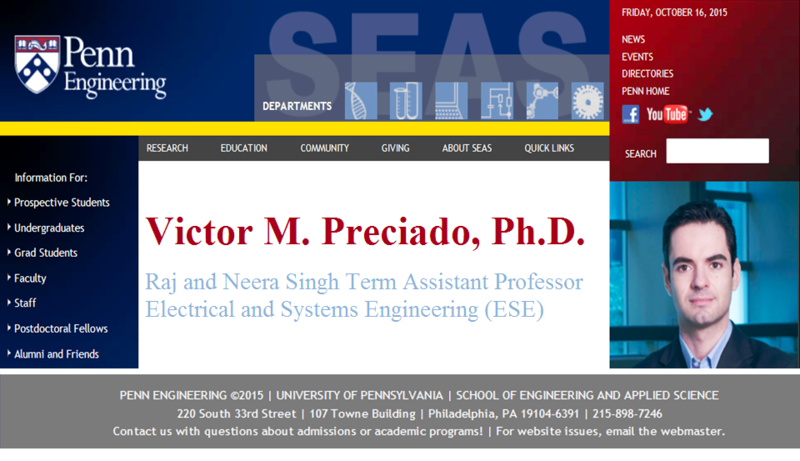 Penn Engineering, University of Pennsilvania, USA. 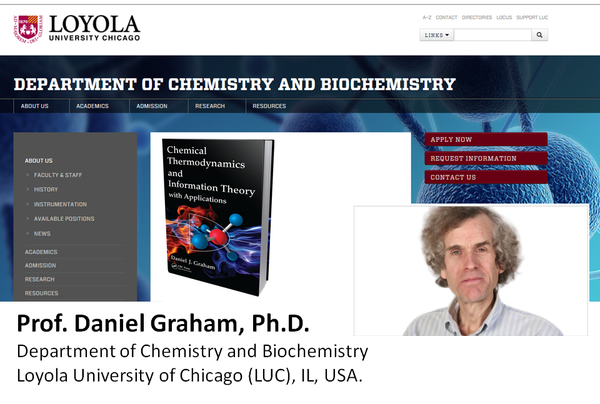 Prof. Daniel Graham, Professor of Chemistry, Loyola University of Chicago (LUC), USA. 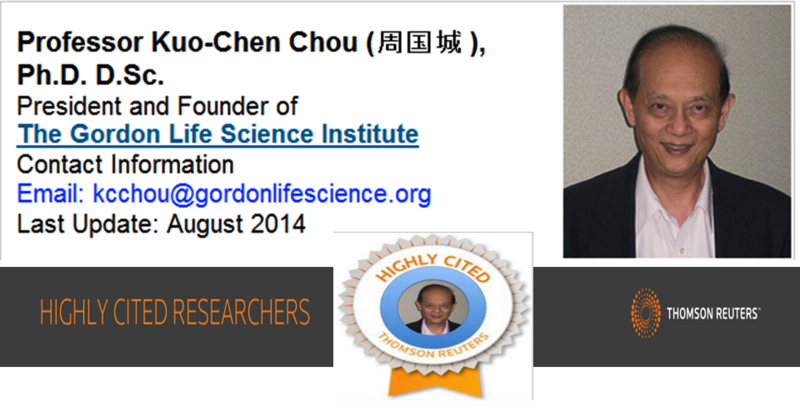 Prof. Kuo-Chen Chou , Gordon Life Science Institute, Belmont, MA, USA, Center of Excellence in Genomic Medicine Research (CEGMR), King Abdulaziz University, Jeddah 21589, Saudi Arabia. 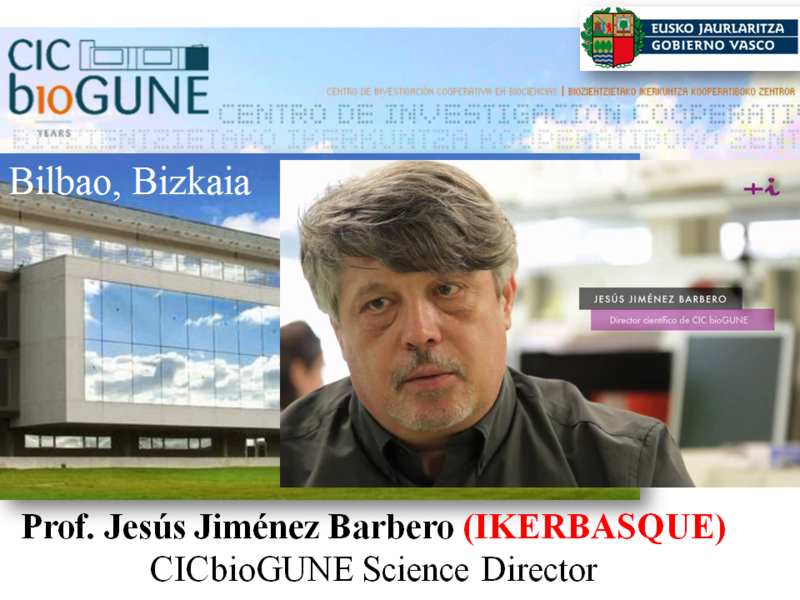 Prof. Jesús Jimenez Barbero , Ikerbasque Professor, Scientific Director of Center for Cooperative Research in Biosciences (CICBiogune), Biscay. President of Royal Society of Chemistry of Spain. 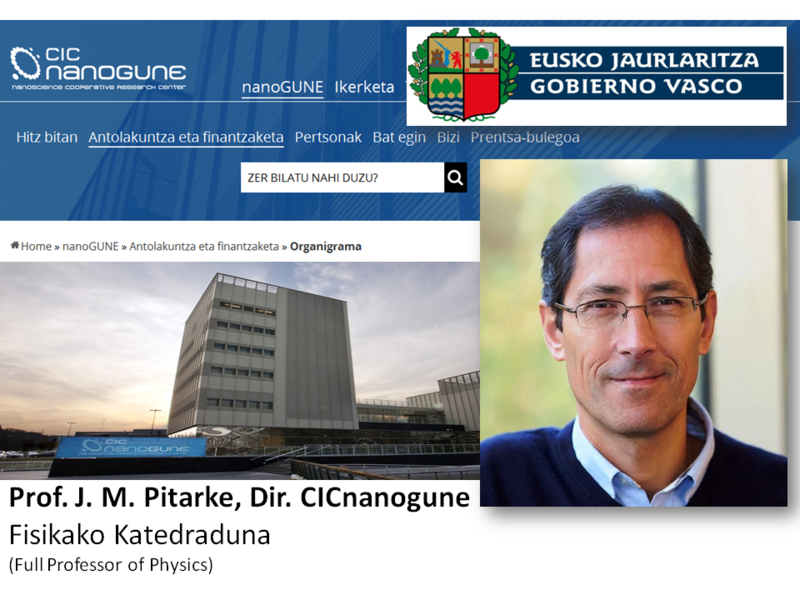 Prof. José María Pitarke , Prof. of Condesed Matter Physics, UPV/EHU, Director of Nanomaterials Cooperative Research Center (CICNanoGune), Tolosa Hiribidea, 76, E-20018, Donostia – San Sebastian, Gipuzkoa. Prof. C.M. Romeo Casabona, Full Professor of Law, Director of Law & Human Genome, Chair, University of the Basque Country (UPV/EHU), Biscay..
Prof. Alejandro Pazos, Ph.D., M.D., Chair and Director of Department of Computer Sciences, University of Coruña (UDC), Coruña, Spain. 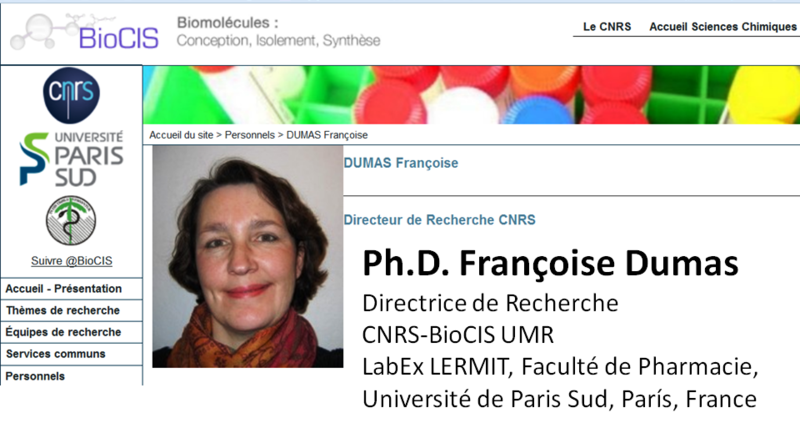 Prof. Françoise Dumas, Prof. Université Paris-Sud, Paris, France CNRS, Directrice de recherche. 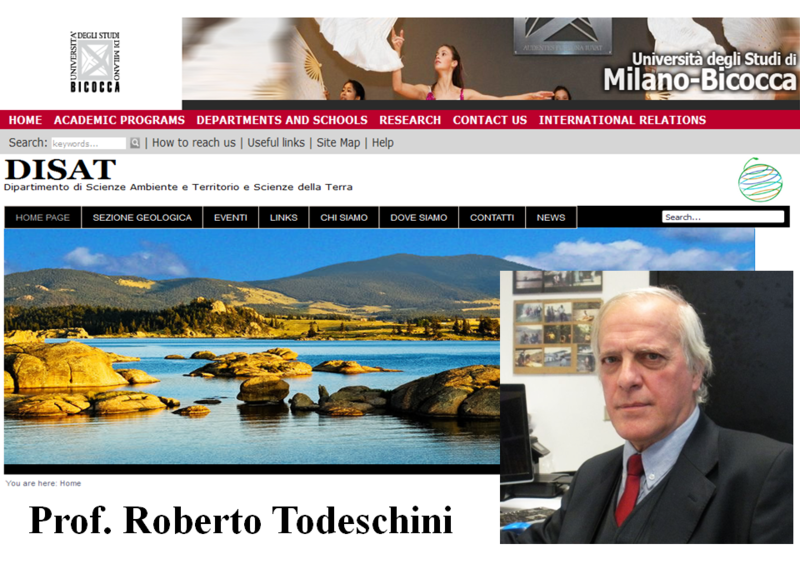 Prof. Roberto Todeschini, Professor of Chemometrics, Department of Environmental Sciences, University of Milano-Bicocca, Milano, Italy. Prof. Miguel A. Gutierrez Ortiz, Dept. 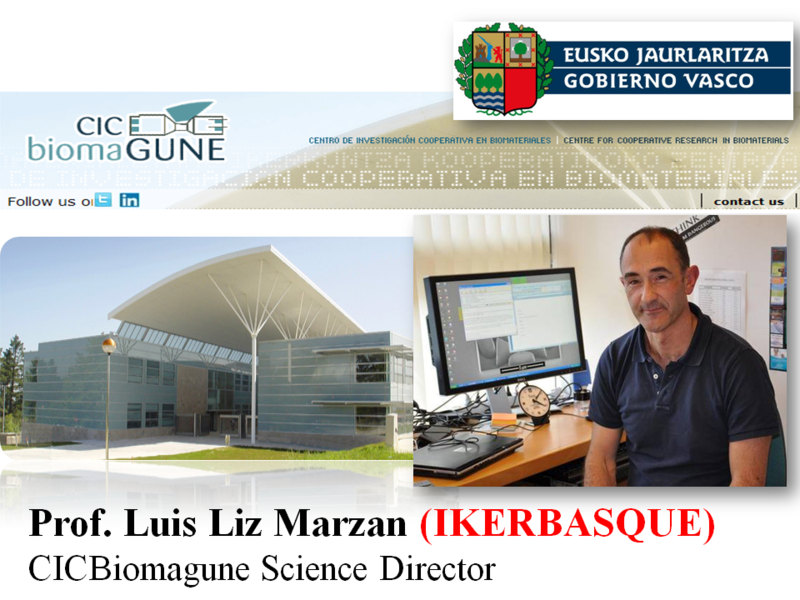 of Chemical Engineering, University of Basque Country (UPV/EHU), Campus Bizkaia, Leioa, Spain. 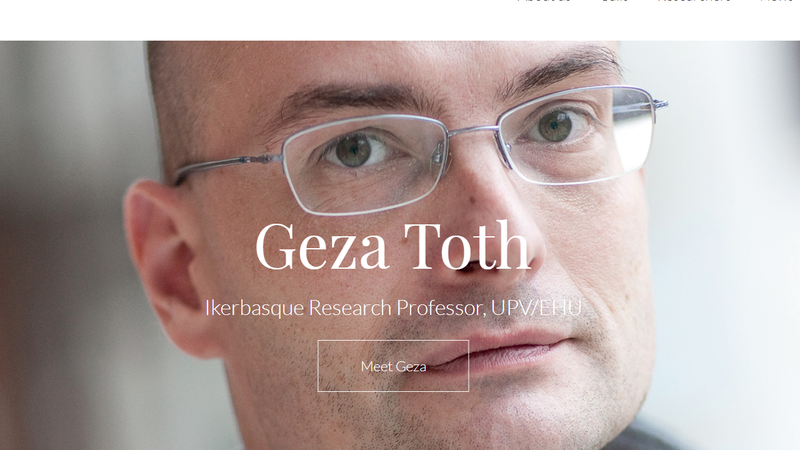 Prof. Geza Toth, Ikerbasque Professor, Department of Physics, University of the Basque Country (UPV/EHU), Campus Buscay, Spain. (1) Dept. of Organic Chemistry II, University of the Basque Country UPV/EHU , 48940, Leioa, Biscay, Spain. Prof. F.P. Cossío, Prof. Dept. of Organic Chemistry I, University of Basque Country (UPV/EHU), Donostia - San Sebastián Campus, Gipuzkoa. Prof. Fernando Plazaola Muguruza, Dean Faculty of Science and Technology, University of The Basque Country (UPV/EHU), Leioa, Biscay, Spain. Prof. Maria Isabel Moreno Benítez, Director Dept. 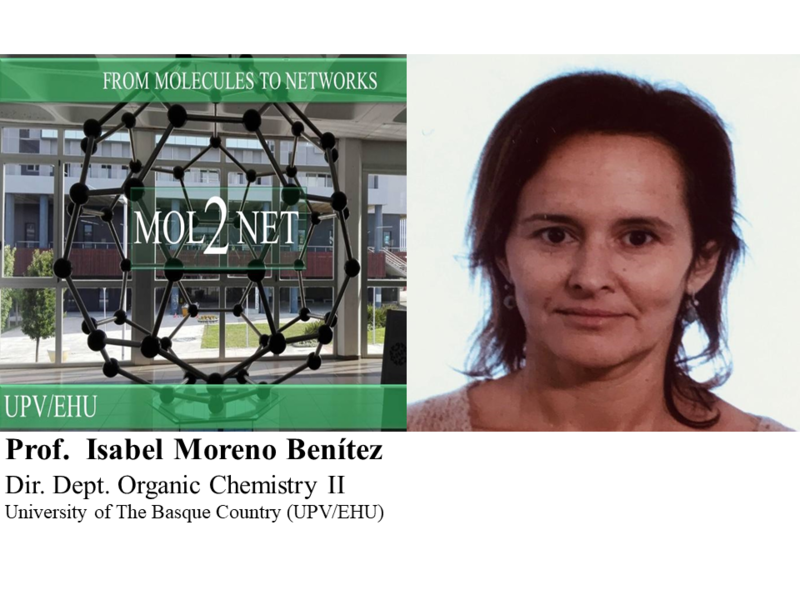 of Organic Chemistry II, University of Basque Country (UPV/EHU), Leioa, Sarriena w/n, Bizkaia. Prof. E. Lete, Prof. Dept. of Organic Chemistry II, University of Basque Country (UPV/EHU), Leioa, Sarriena w/n, Bizkaia. Prof. N. Sotomayor, Department of Organic Chemistry II, University of Basque Country (UPV/EHU), Leioa, Sarriena w/n, Bizkaia, Spain. 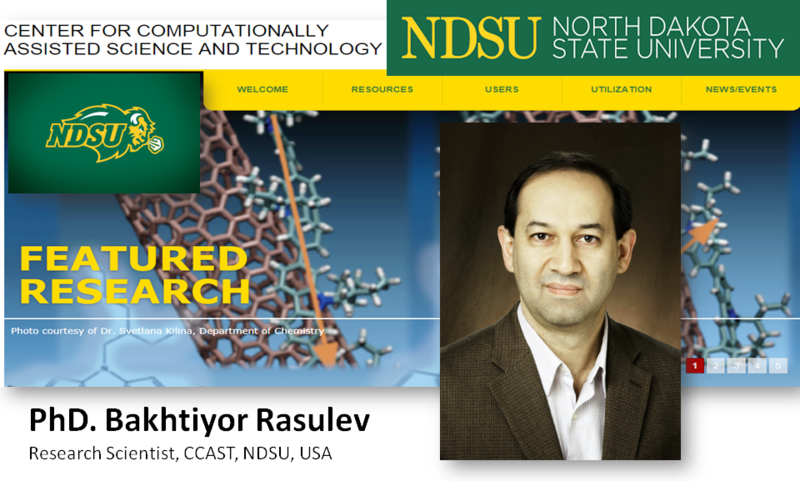 Prof. Bakhtiyor Rasulev, Department of Coatings and Polymeric Material, North Dakota State University (NDSU), Fargo, USA. Prof. Natalia D.S. Cordeiro, Department of Chemistry and Biochemistry, Faculty of Sciences, University of Porto, Porto, Portugal. Prof. James Robert Green, Assoc. Prof., Dept. of Systems and Computer Engineering, Carleton University, Ottawa, Canada. Prof. Maykel Cruz-Monteagudo, Consultant, Univ. of Miami, Prof. West Coast University, Miami Campus, FL, USA. 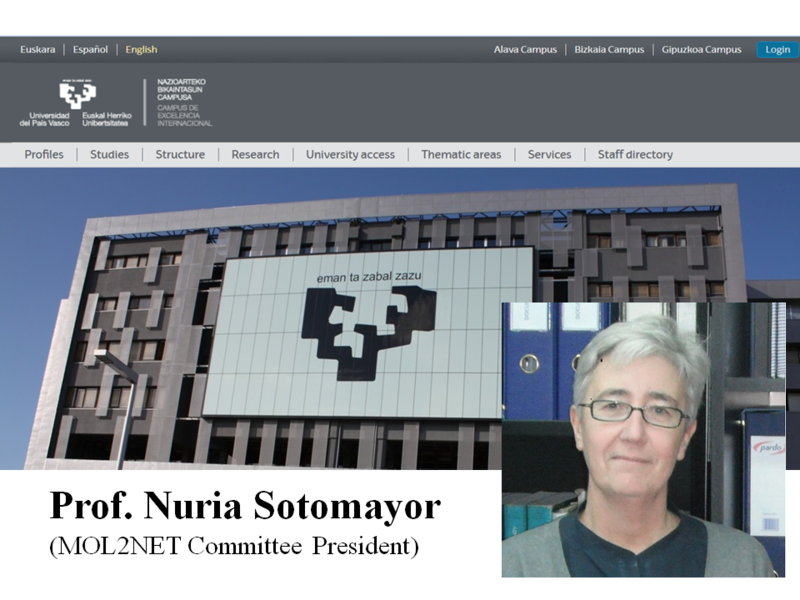 Dr. Natalia Sizochenko, ICN, Dept. of Chemistry and Biochemistry, Jackson State University, Jackson, MS, USA. Dr. Vanessa Aguiar-Pulido, Research Associate, Weill Cornell Medical College, New York City, NY, USA. Dr. Robersy Sánchez, Eberly College of Science, Huck Institutes of the Life Sciences, The Pennsylvania State University, USA. Dr. Shameer Khader, Program Director, Dept. of Medical Informatics and Research Informatics, Northwell Health, NY, USA. Dr. Gerardo M. Casañola-Martin, Dept. 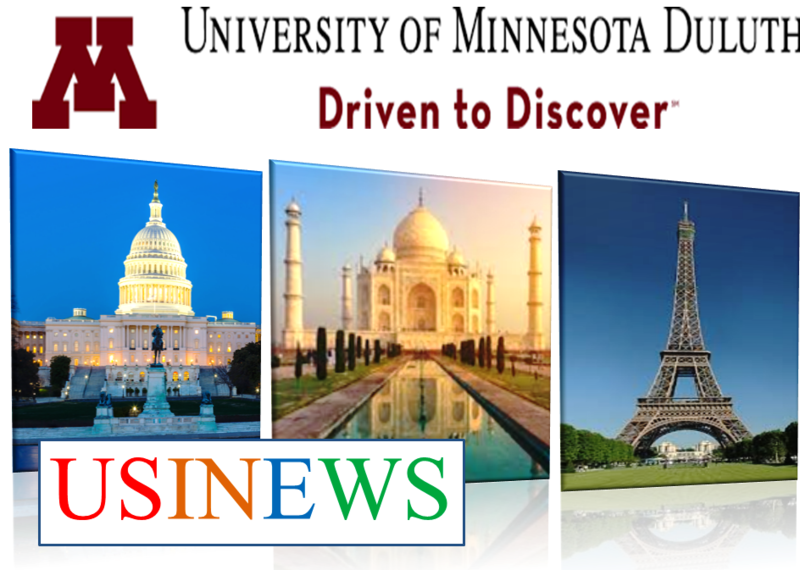 of Coatings and Polymeric Materials, North Dakota State University (NDSU), Fargo, USA. Prof. Fernanda Borges, Department of Chemistry and Biochemistry, University of Porto, Portugal. Dr. Hector M. Díaz-Albiter, Wellcome Trust Centre for Molecular Parasitology, University of Glasgow , United Kingdom. Porf. Igor Iosifovich Baskin, M.V. Lomonosov Moscow State University, Moscow, Russia. Dr. Alessandro Guiliani, Istituto Superiore di Sanità (ISS), Italy. Porf. Luisa Di Paola, Department of Engineering, Università Campus Bio-Medico, Rome, Italy. Dr. Agnieszka Gajewicz, Assist. 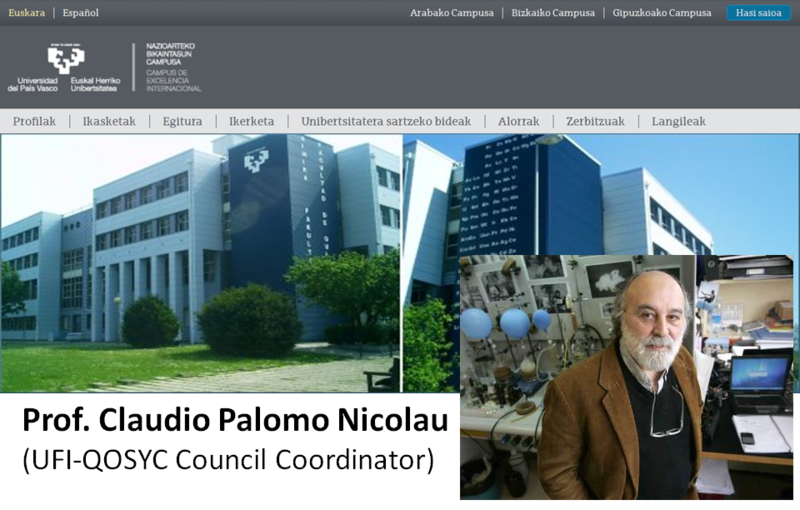 Prof., Faculty of Chemistry, University of Gdansk, Gdansk, Poland. Dr. Irina Moreira, FCT Investigator, University of Coimbra, and Marie Curie Fellow at Utrecht University, Netherlands. Dr. Riccardo Concu, FCT Post-doctoral Researcher, University of Porto, Porto, Portugal. Prof. Kunal Roy, Department of Pharmaceutical Technology, Jadavpur University, Kolkata, India. Prof. Yovani Marrero-Ponce, University San Francisco de Quito, Quito, Ecuador. Prof. Carolina Horta Andrade, Universidade Federal de Goias, Setor Leste Universitario, Goiania, Brazil. Prof. Marcus T Scotti, Universidade Federal da Paraíba, Campus IV, Paraíba, Brazil. Prof. Sonia Arrasate, Department of Organic Chemistry II, University of Basque Country (UPV/EHU), Leioa, Sarriena w/n, Bizkaia. 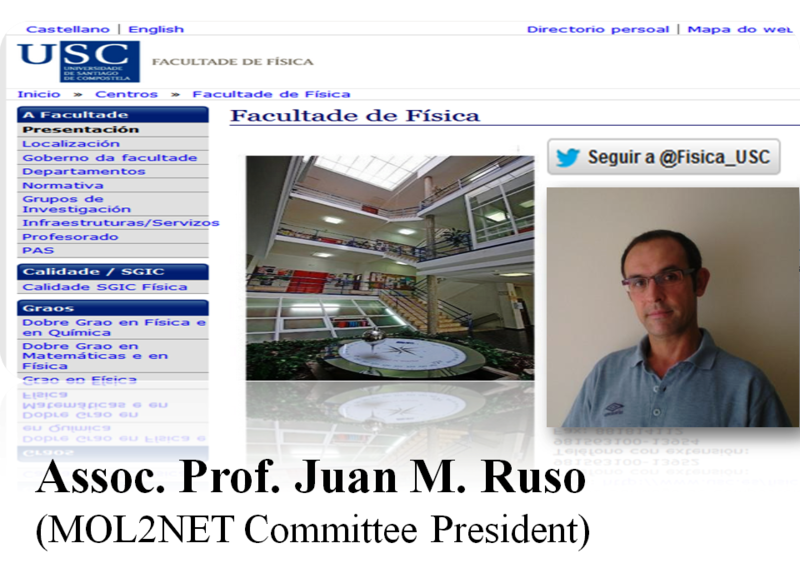 Prof. Juan M. Ruso, Department of Applied Physics, Faculty of Physics, University of Santiago de Compostela (USC), Spain. 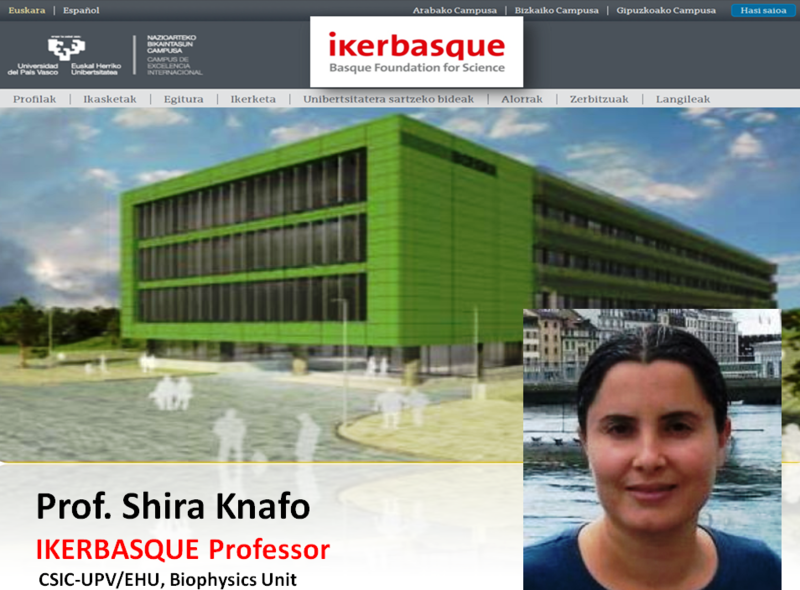 Prof. Shira Knafo, IKERBASQUE Professor, Molecular Cognition Laboratory, (1) Biophysics Institute (CSIC, UPV/EHU), Scientific and Technological Park of Biscay. University of The Basque Country UPV/EHU, Biscay, Spain. Ikerbasque, Basque Foundation for Science. (2) Ben-Gurion University of the Negev Faculty of Health Sciences: Beer Sheva, Southern, Israel. Prof. Julio Seijas , Dept. of Organic Chemistry, Faculty of Sciences, Campus Lugo, USC, Spain. Prof. Eugenio Uriarte Villares, Dept. of Organic Chemistry, USC, Spain. Prof. Florencio Martínez Ubeira, Dept. of Microbiology and Parasitology, USC, Spain. Prof. Ramón J. Estévez Cabanas, Dept. of Organic Chemistry, USC, Spain. Prof. Emilio Martinez-Nunez, Dept. of Physical Chemistry, USC, Spain. Prof. Yagamare Fall, Dept. of Organic Chemistry, University of Vigo (UVIGO), Vigo, Spain. MOL2NET Mentors & Partnership promotes a series of Bootcamps, Hands-on training, Internship, and/or Partnership programs recommended for people interested on finding research partners, offering Tutorship, and/or looking for Postdoc, PhD, MSc, Deg., or Internship tutors or students with emphasis on (but not limited to) in: Data_Analysis, Bioinformatics, Machine_Learning, Cheminformatics, Chemistry, Applied Physics, Nanotechnology, Drug_Discovery, etc. 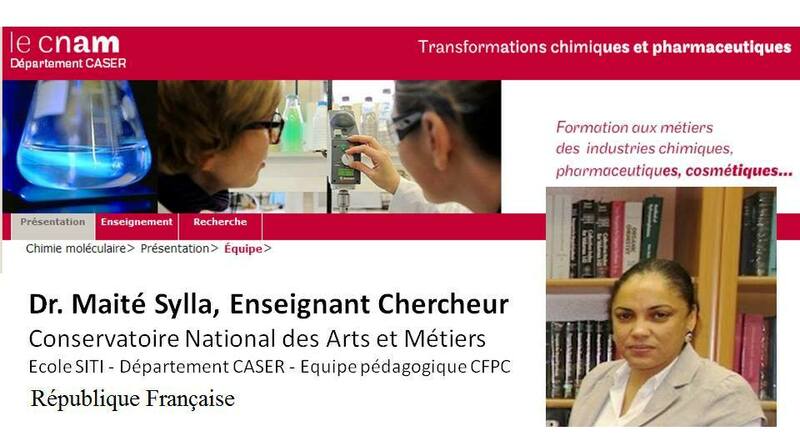 You can contact the chairperson of the conference at [email protected] or Sign up to offer tutorship and/or contact a tutor in Facebook: http://bit.do/mol2net-mentorship. (0) Students/Tutors. looking for Deg., MSc., PhD. Dissertation Supervisors/Students. (1) Ph.D. looking for Marie Skłodowska-Curie Actions(#MSCA) tutors or secondment. 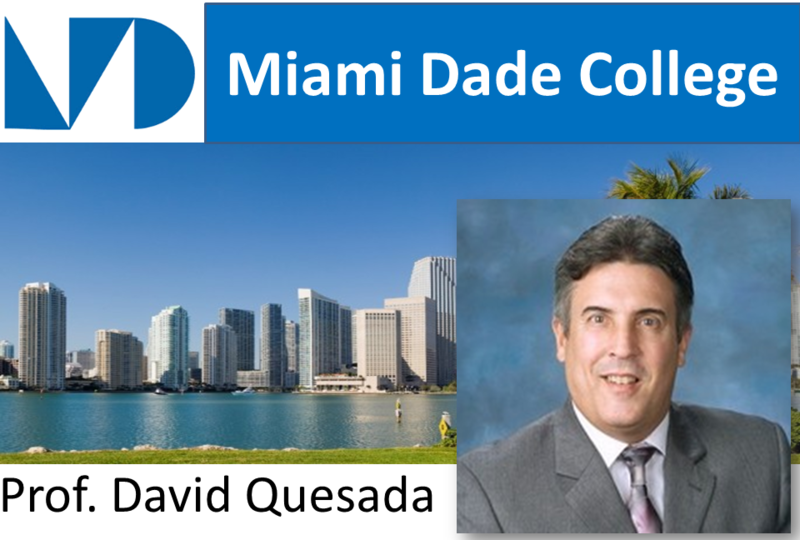 (4) Students of Summer Research Institute (SRI) of Miami Dade College, Chair Prof. David Quesada, Miami, FL, USA. 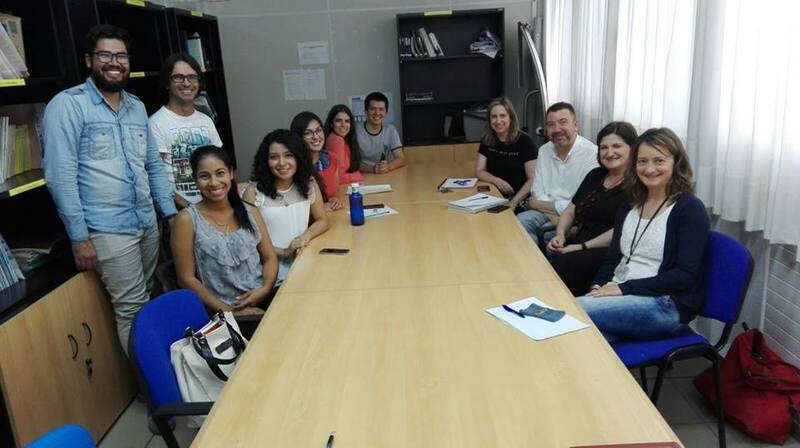 (5) Students of West Coast University Capstone Workshop (WCUCW),Chair Prof. Maikel Cruz Monteagudo. 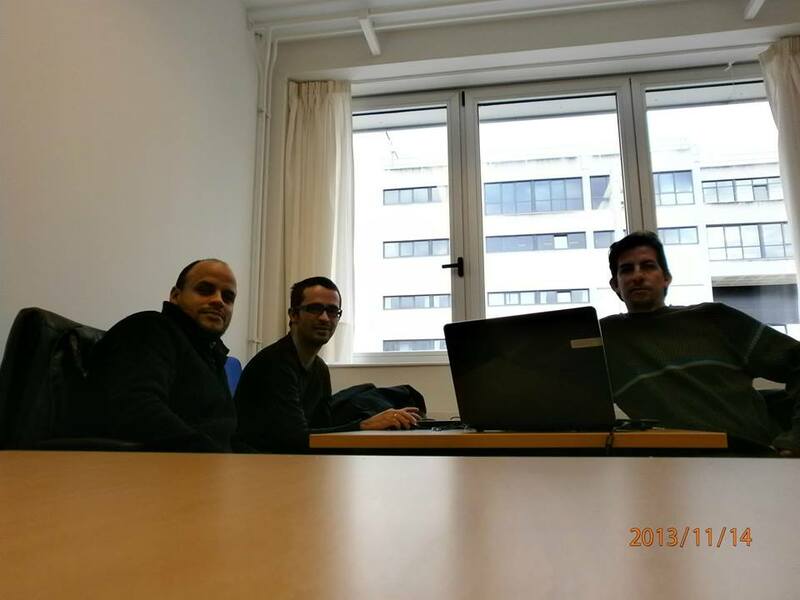 (6) Applicants to short stays at European Bioinformatics Institute (EMBL-EBI) with Dr. Yasset Perez Riverol. See details of some of our Bootcamps, Capstones, Hand-on training courses, etc. Type of Course: Research Internship Training Courses for Sabbatical Professors, Post-Doc Associates, or PhD, MSc, or Degree Students (Summer internships) coming from aborad or for our university. (0) Hands-on Training with Participation on Personalized Project using Machine Learning, Data Analysis, Cheminformatics, Complex Networks, and Statistics to study Experimental Results of Student Thesis and/or Public Data sets. (1) Publication of communications in MOL2NET Conference Workshops in Miami Dade College, West Coast University, University of Minnesota (USA), Conservatoire national des arts et métiers (France), etc. (2) Publication of Scientific Papers in International Journals. (3) Exploration of possible MSc/PhD topics for MSc/Degree Students. Student Profile: Physics (Applied), Chemistry (all areas), Medicine, Biotechnology, Bioinformatics, Nanosciences, Biomedical Engineering, Informatics, etc. Course Duration: PhD Students (upto 1 Year), MSc Students (upto 4 months), Degree Students: Jun-15 to Jul-30. Place: University of the Basque Country, UPV/EHU, Dept. Org. Chem. II., Leioa (Great Bilbao), Biscay, Spain. Enrollment & Fees: Free of cost (no enrollment fees will be levied to students), however scholarship or other funds must cover travel, living, and insurance. *Contact: Prof. Humbert Gonzalez-Diaz ([email protected]). Students: PhD Gerardo M. Casanola, Visiting Professor University of Valencia, Spain, Post-Doc North Dakota State University, USA (1st Left to Right), PhD Juan Alberto Castillo Garit, Visiting Professor University of Valencia, Spain, Professor University of Medical Sciences of Villa Clara, Cuba, (3rd Left to Rigth), Funding Agency: Community of Valencia, Spain. 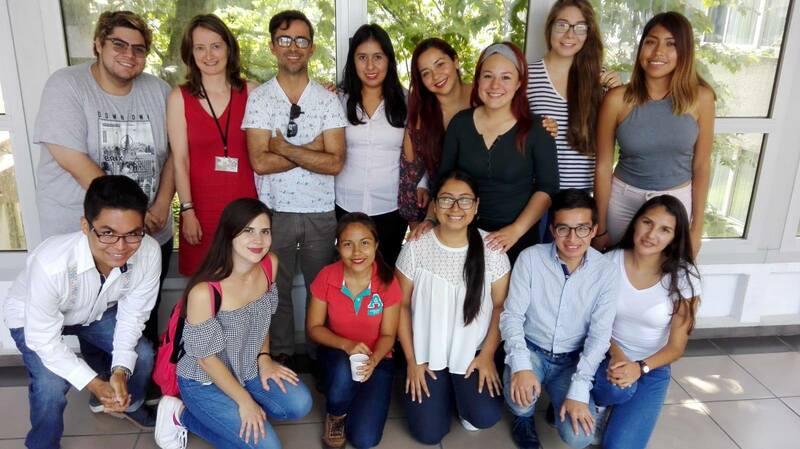 Students: DELFIN Summer Internship Program, Funded by CONCAYT Mexico, 2017. 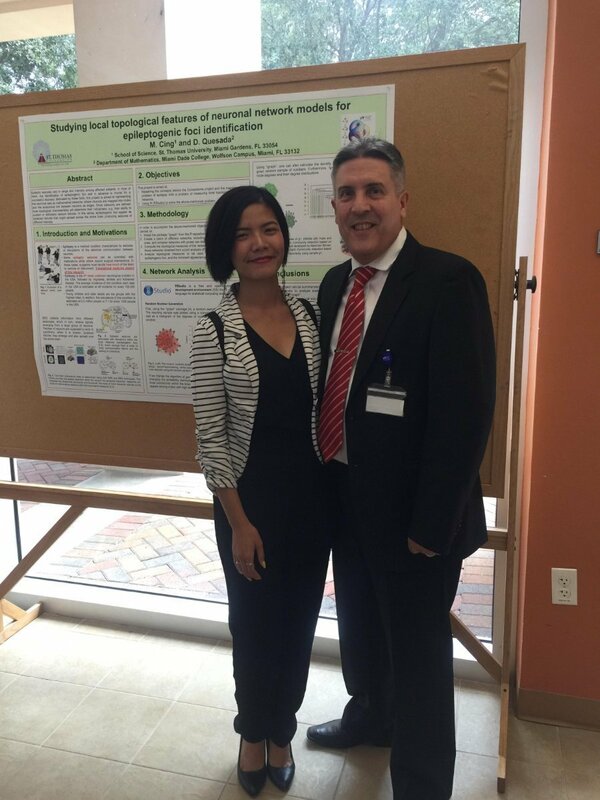 Summer Research Institute (SRI) Symposium of the School of Science, Technology, and Engineering Management of Saint Thomas University (STU) and Miami Dade College (MDC). SRI series have research and education objectives providing undergraduate students, master, and phd students as well as research associated and professor hands-on experiences and computational projects. The workshop is dual including both in person participation (mostly for STU-MDC students and professors) and online participation (including students and professors from abroad). It covers multidisciplinary topics in science ranging from modern techniques of molecular biology, statistical analysis, mathematical modeling, computational physics, bioinformatics, nano sciences and a large variety of characterization techniques to the social, legal, and educational implications of these techniques. (1) Publication of communications in MOL2NET Conference Workshop Series of Summer Research Institute (SRI) in Miami Dade College. (2) Interaction and Networking with multiple experts and professors of different areas and centers. Sponsor Agencies: Miami Dade College (MDC) and the grant STEM-SPACE P03C1160161. The received contributions provided funding for equipment, logistics, and minor activities associated with the SRI. Ten speakers from and local Technological companies came to St. Thomas to share their wisdom as an in kind contribution. During this last edition, students exchanged experiences with researchers from University of Miami, Florida International University (FIU) and also from NASA. *Contact: Prof. Dr. David Quesada, Director of Dept. of Mathematics, Miami Dade Colege (MDC), Miami, FL, USA. NOTES: Before to submit your communication we strongly recommend to read to read carefully the notes to participants at the end of the welcome message and/or the notes in the following page [Notes to authors] about publication model, copyright, authors responsibilities, etc. 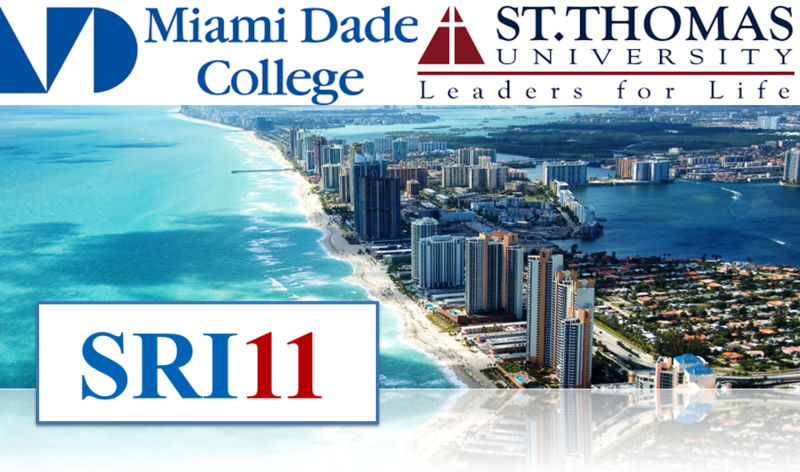 Dear colleagues worldwide welcome to the Summer Research Institute (SRI) Symposium of the School of Science, Technology, and Engineering Management of Saint Thomas University (STU) and Miami Dade College (MDC). SRI series have research and education objectives providing undergraduate students, master, and phd students as well as research associated and professor hands-on experiences and computational projects. The workshop is dual including both in person participation (mostly for STU-MDC students and professors) and online participation (including students and professors from abroad). It covers multidisciplinary topics in science ranging from modern techniques of molecular biology, statistical analysis, mathematical modeling, computational physics, bioinformatics, nano sciences and a large variety of characterization techniques to the social, legal, and educational implications of these techniques. For the third time, this year, the memories of the SRI series will be hosted online by the MOL2NET conference series. It means, that all communications will be published online at Sciforum platform. All presentations will be peer reviewed and a DOI number will be assigned. MOL2NET conference of Sciforum is one of the platforms with international recognition for scientific exchange. The variety of topics included within this new edition acknowledges the inter-disciplinary, teamwork, and networking of modern science. Feel free to contact researchers and participants to foster more collaboration efforts. Applied Sciences (Call for Papers): Special issue entitled: Complex Networks and Machine Learning: From Molecular to Social Sciences. Journal Applied Sciences (ISSN 2076-3417), JCR IF = 1.679. Topics: machine learning, complex networks, systems biology, protein networks, metabolic networks, ecosystems, artificial neural networks, social, financial, and legal networks. Editors: Prof. D. Quesada, Director of Dept. of Mathematics, Miami Dade Colege (MDC), Miami, FL, USA. Prof. M. Cruz-Monteagudo, West Coast University, Miami Campus, FL, USA, FCT Fellow University of Porto Portugal, Consultant, Center for Computer Science (CCS), University of Miami, FL, USA. 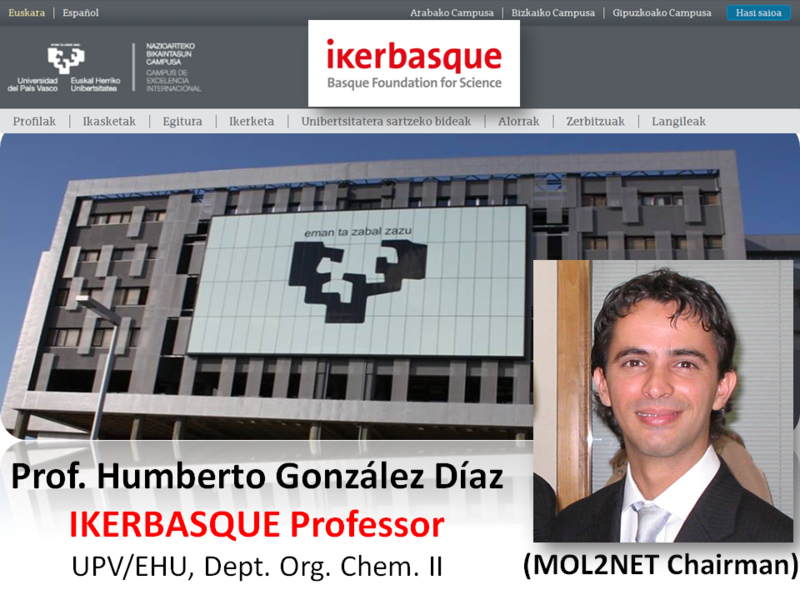 Prof. González-Díaz H., IKERBASQUE Professor, Dept. of Organic Chemistry II, University of the Basque Country UPV/EHU , Leioa (Great Bilbao), Biscay, Spain. Miami Dade Colege (MDC), Miami, FL, USA. St. Thomas University (STU), Miami, FL, USA. University of the Basque Country UPV/EHU , 48940, Leioa, Biscay, Spain. Dept. of Public Law, University of Basque Country (UPV/EHU), Leioa 48940, Spain. USINEWS-03; US-IN-EU Worldwide Science Workshop Series is aimed to become a reference international science workshop series. This workshop is associated to MOL2NET-05 International Conference Series on Multidisciplinary. In fact, the publication of communications is at the online platform SciForum maintained by the editorial MDPI, Basel, Switzerland. After publication of papers is closed we shall open the online platform and the author will be able to post online comments and/or answers to comments in this workshop/section and also in the other general sections and/or >10 international workshops of the MOL2NET conference (many of them also run both online and in person). To see a detailed schedule of this workshop/section and all the conference follow this link [MOL2NET workshops schedule]. 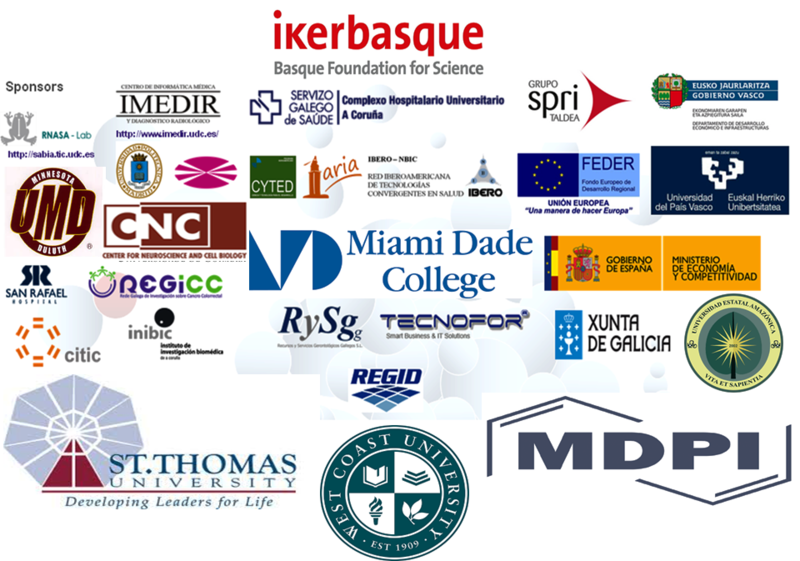 TheUniversity of Minnesota, MN, USA, the NSIT Netaji Subhas Institute of Technology, New Delhi, India, the University of Basque Country (UPV/EHU) and IKERBASQUE, Basque Foundation for Sciences, Biscay, Spain, are the main host institutions (see chairpersons below). USINEWS focused on the interchanges of ideas among researchers working in U.S., Europe, India, etc. with colleagues from other countries across the world. 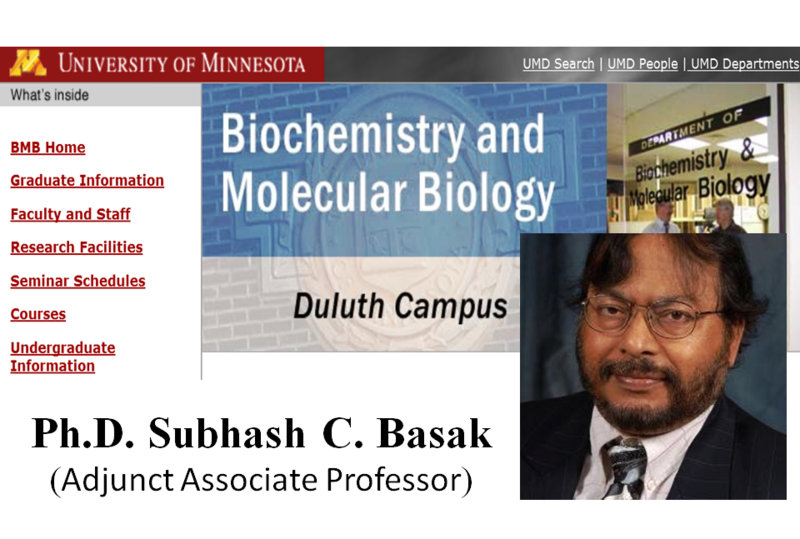 The foundations of this workshop are in the multiple collaborations of Professors / Researchers of Indian like Dr. Suhbash C. Basak, University of Minnesota, USA, Prof. Ashok. K. Dubey, NSIT Netaji Subhas Institute of Technology, New Delhi, India, Prof. Kunal Roy, Jadavpur University, Dr. Shameer Khader,Philips Healthcare, Cambridge, MA, USA, with their international colleagues at Virginia Commonwealth University (VCU), University of Basque Country (UPV/EHU), IKERBASQUE, Basque Foundation for Sciences, and many other institutions in US-EU, India, and other countries. (2) Indo-US Lecture Series on Discrete Mathematical Chemistry, four events mainly focusing on the training of young scholars. 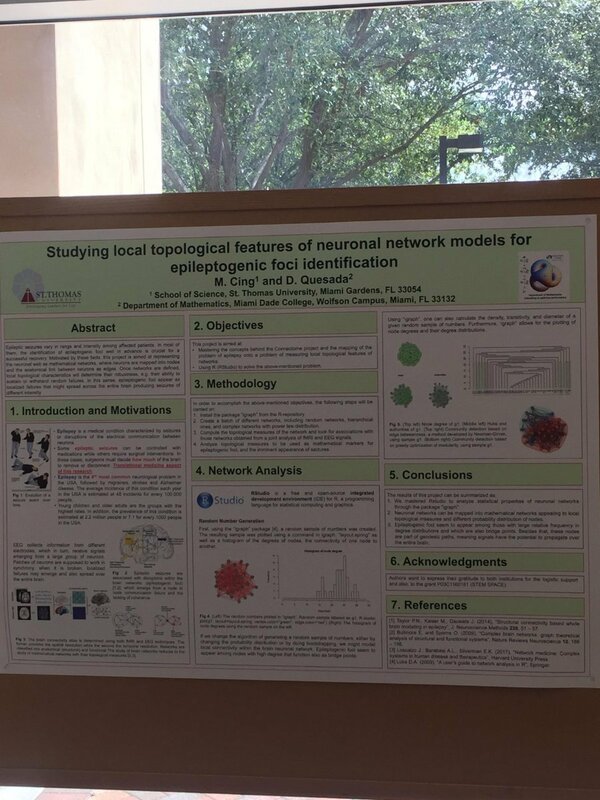 This INDOWSCI workshop is associated to MOL2NET-04 International Conference on Multidisciplinary Sciences, MDPI Sciforum, Switzerland, HQ UPV/EHU, Bilbao, Spain. Consequently, it aims to promote results on Multidisciplinary Science (All Areas), including but not limited to, the following topics of interest: Chemistry (All areas), Mathematics (Applied), Physics (Applied), Materials Science, Nanotechnology, Biology and Life Sciences (All areas), Medicine, Biomedical Engineering, Education, along with Computer Sciences, Data Analysis, Statistics, Artificial Intelligence, Deep Learning, Bioinformatics, Systems Biology, and Complex Networks Sciences. See the following note to authors ontopics outside the scope of the conference and associated workshops [Note on topics]. Before to submit your communication recommend to download and use the [Template File] to write your communication; we strongly recommend you to read carefully the following notes to participants about publication model, copyright, authors responsibilities, etc Firstly, be aware that the works published here belongs to two main modalities preliminary communications or comments on previous works. Preliminary communications are not post-print journal papers. In this sense, committee and/or external reviewers check only scope and apparent scientific soundness. They have the same editorial process than for an online Preprint service. Therefore, all works receive doi number and are indexed in databases (GoogleScholar, Publons, etc. ).The works may receive also comments from registered participants (public post-publication review). The authors are encouraged to submit their works to a peer-reviewed scientific journals of MDPI or other editorials during or after finalization of the conference, as per SciForum copyright rules. Comments on previous works are short notes to comment about the more interesting points, highlights, etc. of works previously published by the authors or other groups. In this case, committee and/or external reviewers check also only scope and apparent scientific soundness. The works may receive also comments from registered participants (public post-publication review). In any case, it is the authors responsibility, to ensure the veracity of the contents, checking similarity to other works, and carry out a proper citation of previous works. The committee is not responsible of this previous aspects in this publishing modality. In this sense, we strongly recommend the authors to use online text-similarity checking services to avoid any form of plagiarism or copyright violation. The authors may be requested to modify the communication (re-write their texts) in the case that high similarity is detected and reported to the committee. In these cases, the manuscript could be put on standby or withdrawn temporarily until the authors re-submit the proper version. The authors are also allowed to submit short reviews, comments, letters, or discussions of papers already published if they guarantee sufficient difference to previous public contents. Dr. Suhbash C. Basak, Natural Resources Research Institute, Duluth, MN, USA. Netaji Subhas University of Technology, New Delhi, India..
Research Informatics, Northwell Health, NY, USA. SMAS, K.R. Mangalam University, Gurgaon, Haryana, India. K.R. Mangalam University, Gurugram, India. Manipal Academy of Higher Education (MAHE), Karnataka, India. Università degli Studi di Messina, Italy; AOAC ERPs; SpringerBrief Series Editor. Anurag Group of Institutions, Venkatapur, Ghatkesar, India. Prof. Kirtan Dave, Center for Interdisciplinary Studies in Science and Technology, Sardar Patel University, India. Prof. Nitin Sapre, Shri Govindram Seksaria Institute of Technology and Science, Indore, India. Dr. Girinath G. Pillai, Zastra Innovations, Bengaluru, Karnataka, India. Campus Biscay, Leioa 48940, Spain. 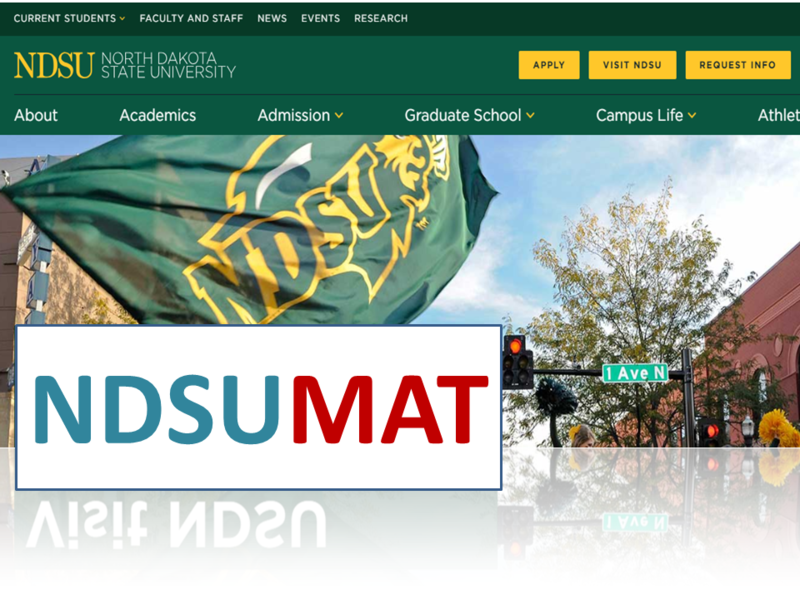 Dear colleagues worldwide welcome to NDSUMAT-01: North Dakota State University (NDSU) Workshop Series on Material Sciences. NDSUMAT series welcome contributions in all topics of Material Sciences and Nanotechnology. The topics include, but are not limited to: Nanotechnology, Material Sciences, Polymers, Coating Materials, Computational Nanosciences, Cheminformatics, Nanoparticle Drug Delivery Systems, etc.. This workshop will be hosted online by the MOL2NET conference series. It means, that all communications will be published online at Sciforum platform. All presentations will be published in open access free of cost and a DOI number will be assigned. At the end of the year all contributions will be published in the Proceedings Book of the MOL2NET-05, International Conference on Multidisciplinary Sciences, ISSN:2624-5078, MDPI SciForum, Basel, Switzerland, 2019. In parallel, the members of committees and/or authors are encouraged to edit special issues for different journals of the editorial MDPI (http://www.mdpi.com/). The special issues run in parallel, or totally independently from the conference. Manuscripts should be submitted online at www.mdpi.com by registering and logging in to this website. In order to send a proposal of associated workshop and/or special issue contact the chairperson of the conference Prof. González-Díaz H. Please, check the following special issues associated to the topic of the workshop. 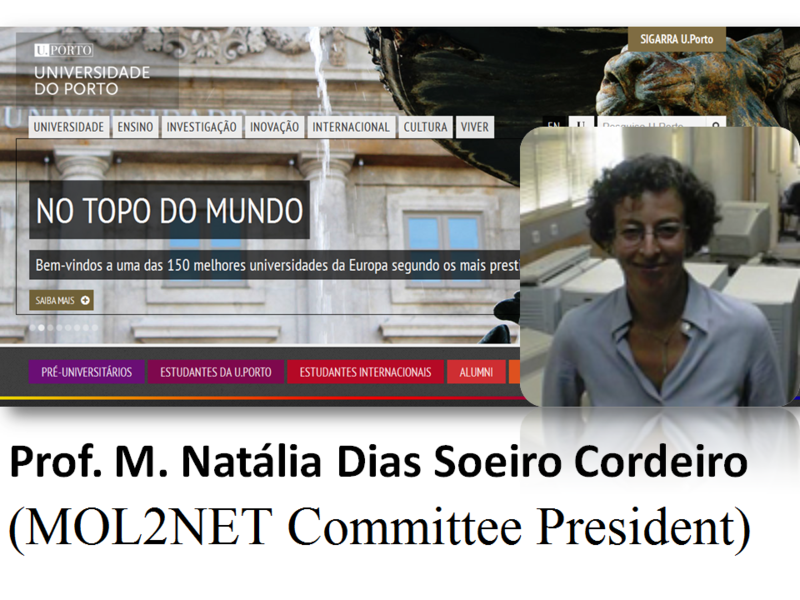 President of MOL2NET Scientific Committee for Polymers & Materials Sciences. Jackson State University (JSU), USA. Dartmouth College, Hanover, NH, USA. Faculty of Physics, University of Santiago de Compostela (USC), Spain. North Dakota State University (NDSU), Fargo, USA. Prof. Dr. Bakhtiyor Rasulev, Department of Coatings and Polymeric Material, North Dakota State University (NDSU), Fargo, USA. 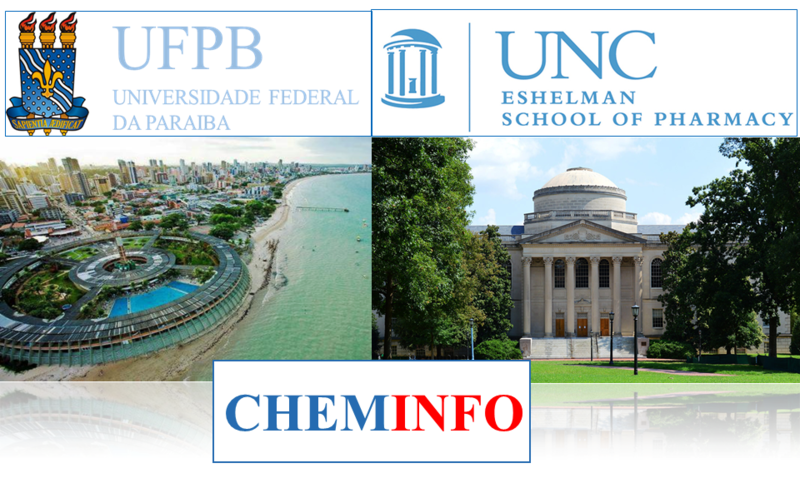 Dear colleagues worldwide welcome to CHEMINFO-01: Inter-university Chemoinformatics Workshop Series organized by Universidade Federal da Paraiba (UFPB) , Joao Pessoa, Brazil and University of North Carolina at Chape Hill (UNC Chape Hill) , Chape Hill, NC, USA. CHEMINFO series welcome contributions involving certain use of Chemoinformatics, Computational Chemistry, Bioinformatics, Systems Biology, Data Analysis, Machine Learning, and related techniques with applications to Medicinal Chemistry, Natural Products, Toxicology, Drug Discovery, Vaccine Design, Nanotechnology, etc. This workshop series welcomes specially professors, researchers and students from both universities UFPB, Paraiba, Brazil, and UNC Chape Hill, United States. However, we are open to receive contributions and committee members from all centers world around. The workshop is expected to run both in person and/or online. Participation in all modalities is not mandatory. In person presentations may include workshops, seminars, meetings with face-to-face discussion at both universities. These seminars may be complemented with online teleconferences (Skype, Voip, etc.) of members of the other campus. At the end of the day, all presentations will be published in one online platform. In so doing, this workshop will be hosted online by the MOL2NET conference series. It means, that all communications will be published online at Sciforum platform. All presentations will be published in open access totally free of cost and a DOI number will be assigned. The platform also includes the possibility of online comments from researchers of both universities and colleagues worldwide as well. At the end of the year all contributions will be published in the Proceedings Book of the MOL2NET-05, International Conference on Multidisciplinary Sciences, ISSN: 2624-5078, MDPI SciForum, Basel, Switzerland, 2019. Campus I, Cidade Universitária, CEP: 58.051-900, João Pessoa - Paraíba - Brasil. Dear colleagues worldwide, we invite you to join us at WCUCW-03 West Coast University Capstone Workshop, 2019, Miami, FL, USA. This is the Capstone workshop for West Coast University (WCU), Miami, FL, USA. This workshop series held each academic term is devoted to fostering both education and research in multidisciplinary sciences. Professors, Researchers, Post-docs, Ph.D., M.Sc. and Degree students worldwide are invited to submit contributions to be published online in Sciforum platform, Basel, Switzerland, open access and totally free of cost. We specially welcome students completing their General Education courses at WCU. These capstone courses students form groups of three and take on the roles of scientist, medical researcher, or public health professional, all of them approaching an assigned topic from their field of expertise. They are each required to devise a study on their topic, pretend to conduct it, generate logical data to support a hypothesis, write an academic paper sharing their findings, and defend their data in a presentation. The workshop education goals focus on professors and students in the WCU Miami campus Capstone course. However, we also welcome researchers and students from other nationwide WCU campuses and researchers from other institutions around the world. The Capstone workshop is associated with MOL2NET-05 International Conference on Multidisciplinary Sciences, MDPI Sciforum, Switzerland, HQ UPV/EHU, Bilbao, Spain, 2019. Therefore, it will run both online and in person. The workshop runs online at the platform SciForum maintained by the editorial MDPI, Basel, Switzerland. It runs in person at WCU, Miami campus, during the Capstone course. The topics of interest include, but are not limited to, the following: Multidisciplinary Science (all areas), Health Science (all areas), Chemistry (all areas), Biology and Life Sciences (all areas), Environmental Science (all areas), Social Sciences (all areas), Biomedical Engineering, Mathematics (Applied), Data Analysis, Education. See the following note to authors on topics outside the scope of the conference and associated workshops [Note on topics]. Preliminary communications are not post-print journal papers. In this sense, committee and/or external reviewers check only scope and apparent scientific soundness. They have the same editorial process as for an online Preprint service. Therefore, all works receive DOI numbers and indexed in GoogleScholar. The works may also receive comments from registered participants (public post-publication review). The authors are encouraged to submit their works to peer-reviewed scientific journals of MDPI or other editorials during or after finalization of the conference, as per SciForum copyright rules. We strongly recommend that you carefully read the following notes to participants about publication model, copyright, authors’ responsibilities, etc. Be aware, it is the author’s responsibility to ensure the veracity of the contents(checking similarity to other works) and to carry out a proper citation of previous works. The committee is not responsible of these aspects in this publishing modality. We therefore strongly recommend the authors to use online text-similarity checking services to avoid any form of plagiarism or copyright violation. The authors may be requested to modify the communication (re-write their texts) in the case that high similarity is detected and reported to the committee. In these cases, the manuscript could be put on standby or withdrawn temporarily until the authors re-submit the proper version. The authors are also allowed to submit short reviews, comments, letters, or discussions of papers already published if they guarantee sufficient difference to previous public contents. Applied Sciences (Call for Papers): Special issue entitled: Complex Networks and Machine Learning: From Molecular to Social Sciences. Journal Applied Sciences (ISSN 2076-3417), JCR IF = 1.679. Topics: machine learning, complex networks, systems biology, protein networks, metabolic networks, ecosystems, artificial neural networks, social, financial, and legal networks. Adjunct Prof., University of Miami, Coral Gables, FL, USA. Education Specialist, West Coast University, Miami Campus, FL, USA. Academic Dean and Professor, West Coast University, Miami Campus, FL, USA. Prof. Lazaro Pino, PhD, Assoc. 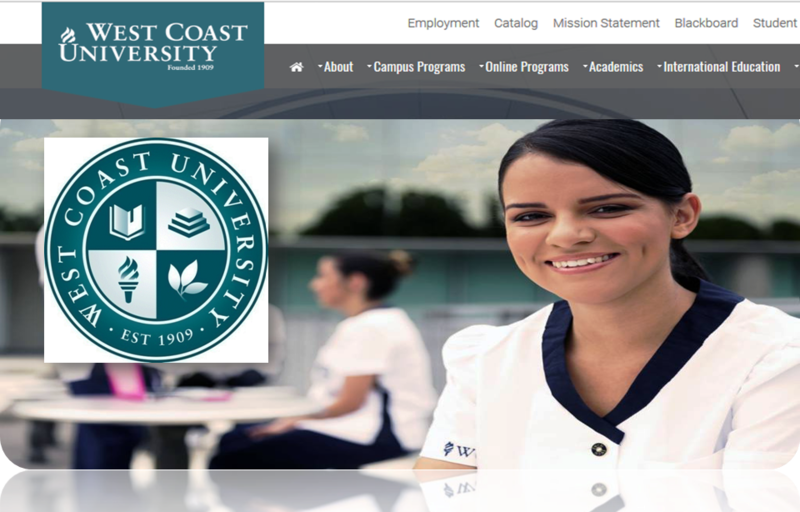 Prof., West Coast University (WCU), Miami, FL, USA. Adjunct Professor, Miami Dade College (MDC), Miami, FL, USA. (1) Dept. of Org. Chem. II, Univ. of the Basque Country UPV/EHU , 48940, Leioa, Biscay, Spain. Prof. Dr. Maykel Cruz-Monteagudo, West Coast University, Miami Campus, FL, USA. Welcome to the Meeting of Young Researchers in Structural Computational Biology (EJIBCE 2019), see last editions (EJIBCE 2018), (EJIBCE 2017), aims at bringing together the Portuguese scientific community working in the field in a free-of-charge meeting, to provide a forum for discussion and sharing with no strings attached. This Sixth edition builds on the success of previous editions in Porto, Lisbon, Coimbra, Oeiras and Coimbra, which gathered ca. 60 participants and had over 10 oral communications in each edition. Given the current economic situation in Europe, and particularly in Portugal, it is increasingly harder to obtain funding and to have an optimistic approach to science and collaborations. Besides, the recent austerity measures put in place by the Portuguese government led many researchers to join groups and institutes abroad, and eventually lose touch with the Portuguese scientific community and developments. After obtaining a doctoral degree or finishing a postdoctoral appointment, many Portuguese scientists abroad look back to their country looking for an opportunity to continue their careers and contribute to the development of Portuguese science. Others wish to remain abroad, but at the same time reach out to the Portuguese community and cultivate stronger ties to its researchers. However, what groups are there on Computational Structural Biology? What do they actually focus on? Are they open to collaborations? This meeting was created in order to answer these and other similar questions. 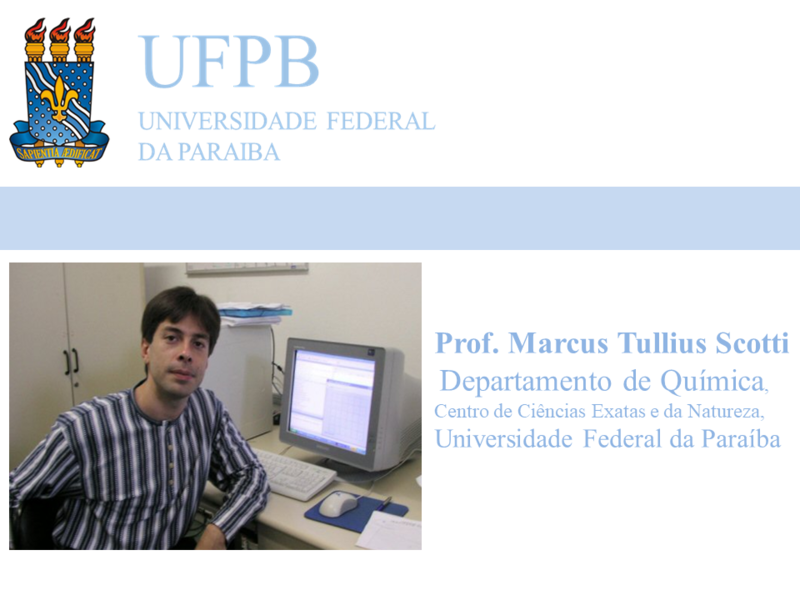 Its main goal is to provide a simple no-frills environment where Portuguese researchers in Computational Structural Biology, active both in Portugal and abroad, can meet and get to know each other’s research and ambitions. Ultimately, we hope that in doing so, we will be able to stimulate new collaborations and broaden the horizons of the Portuguese community of Computational Structural Biologists. EJIBCE 2018 builds up on the format of previous editions, focusing on a small number of oral communications interspersed with several breaks to encourage discussion and exchange of ideas. Throughout the day, 12 researchers will present their results. Seven will be selected from the submitted abstracts by the Scientific Committee, based on the quality and originality of the work, and will be given 15 minutes to speak, followed by a short discussion. The remaining 5 oral communications will be delivered by invited keynotes, who will be given 25 minutes to speak plus 10 for discussion. All materials and services on this website are provided without warranties. The content published in these pages may contain errors for which the organization assumes no liability or responsibility. The content is also subject to periodic changes without the duty of notice. Any doubts and questions should be addressed to the organization by email ([email protected]). Registration to this event implies acceptance of these conditions. Molecules (Call For Papers): Special Issue: Structure and Function of Metalloenzymes. Journal: Molecules (ISSN 1420-3049), JCR IF = 3.098. Topics: catalytic power of enzymes; computer-aided drug design; bio-desulfurization; computational methods in chemistry and biochemistry; metalloenzymes; biological membranes; docking and virtual screening; computational enzymatic catalysis. 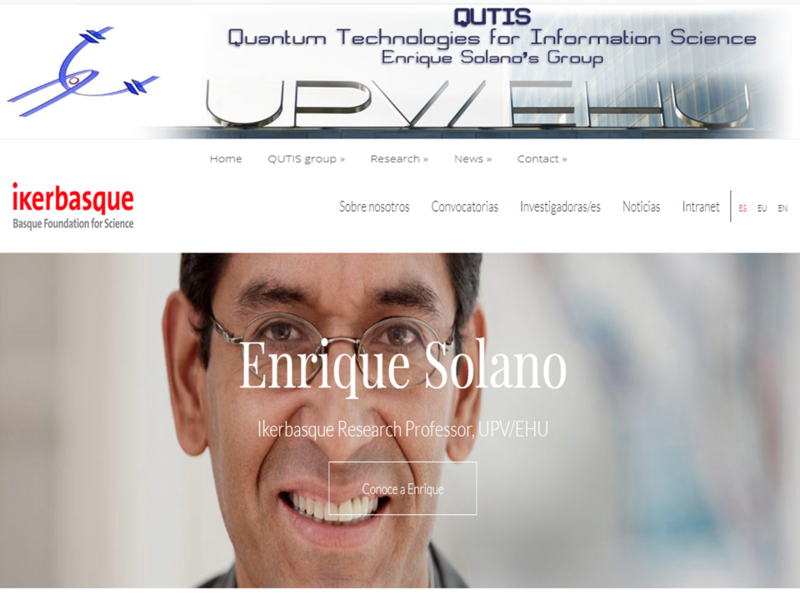 Editor: Dr. Sérgio Filipe Sousa, Email: [email protected],UCIBIO/REQUIMTE, BioSIM - Departamento de BioMedicina, Faculdade de Medicina da Universidade do Porto, Porto, Portugal. Workshop Associated: EJIBCE, Encontro de Jovens Investigadores de Biologia Computacional e Estrutural, Portugal, 2018. Universidade de Lisboa (FCUL), Lisboa, Portugal. 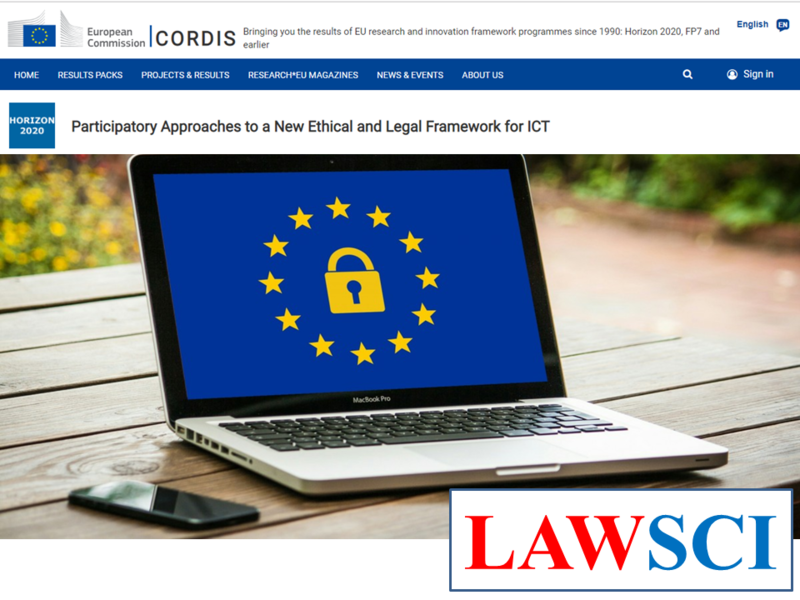 Welcome to the workshop LAWSci-03, PANELFIT H2020 Challenges in Law, Technology, Life, and Social Sciences. This workshop is associated to the European Commission Project PANELFIT H2020. In this sense, the workshop series will help to attract the attention of the pubic worldwide over the topics of the project. 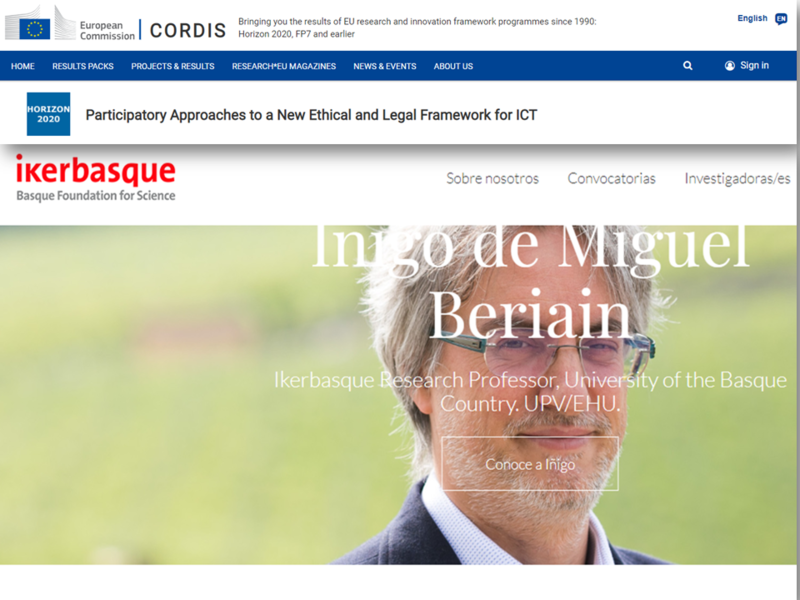 The project is concerned about changes in the regulation of ICT research and innovation are opening up a new scenario. It is expected that stakeholders, policy makers, and end users adapt to them as soon as possible. This, however, might be hard, especially for SMEs. PANELFIT is firmly committed to facilitating this adaptation process by producing a set of editable, open access Guidelines, validated by two data protection agencies. Once produced, they will serve as operational standards able to reduce the ethical and legal issues posed by ICT technologies while promoting innovation and market growth, enabling high-quality job creation and ensuring an adequate level of privacy and security/cybersecurity. Furthermore, we will produce a complementary set of six outcomes to 1) suggest possible concrete improvements to the current regulatory and governance framework, both at the EU and the national level, 2) create mutual learning and support tools and to promote networking among stakeholders and policy makers and 3) increase the quantity and quality of the information available to policy makers, professionals, researchers, journalists and the public. All these outcomes will be produced by a co-creation process involving policy makers, stakeholders, and end-users. They will all participate in the creation of the main outcomes of the project through a range of engagement activities that includes workshops, public consultations, encounters, surveys, etc. This will be combined with a strong communication and dissemination strategy that includes numerous activities, such as webinars, MOOC courses, public debates, a constant use of a web site and social networks and the creation of a Platform for Mutual Learning, which is meant to become the reference forum for the discussion of the issues at stake even after the end of the project. The participation in PANELFIT of the European Data Journalism Network, with an aggregated web audience of almost 70 million monthly visits will help us reach this aim. In this sense, LAWSci workshop series promotes multidisciplinary collaborations and debate in the frontiers of Law, Technology, Life, and Social Sciences. The interaction between bio-science and ICTs has forged great developments in many fields. However, the appreciation of these discoveries is sadly, all too often, accompanied by a lack of understanding of the legal implications. This conference series aims to provide a reference to the various legal avenues that are available for the protection of scientific advances, but also the legal instruments to protect society from unwanted effects. 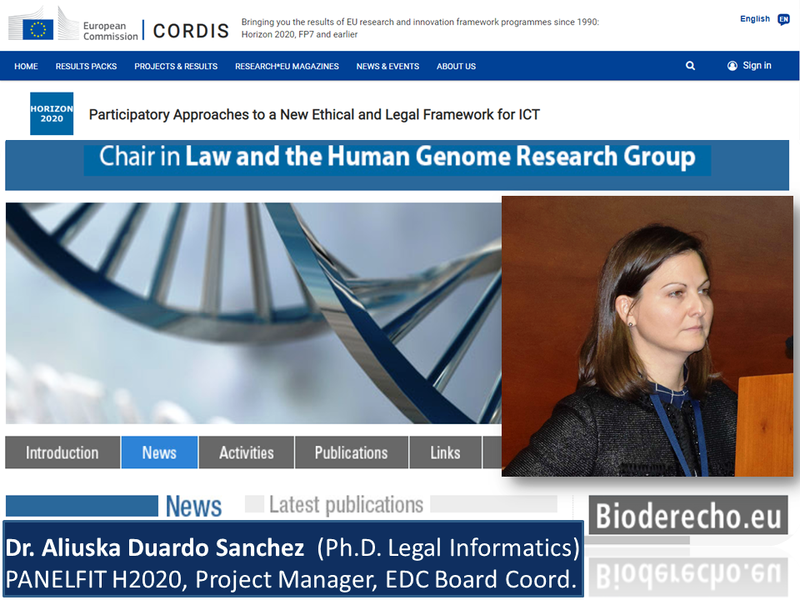 It constitutes a study of some of the legal implications of bioscience and ICT advances, weighing their impact on society and the law's role in shaping that effect. 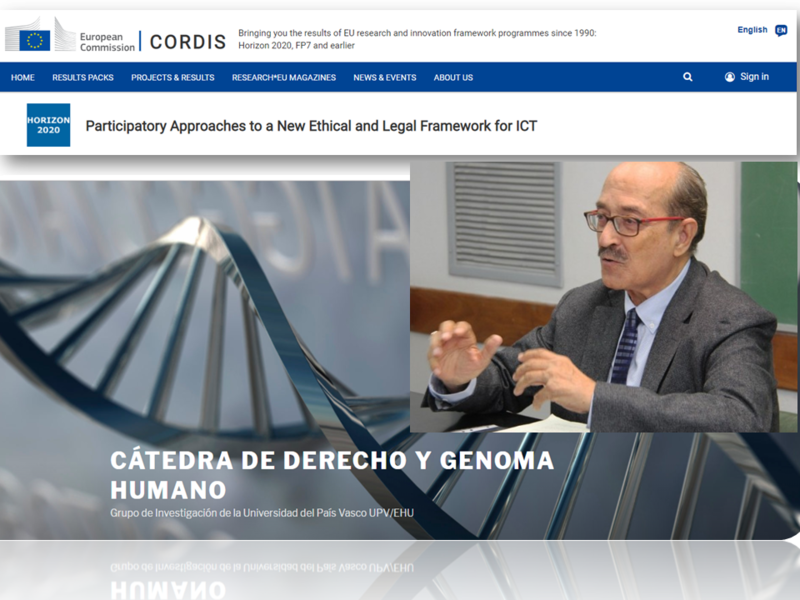 The presentations will be focused on legal trends in different fields covering, but not limited to: patentability in plants and human genomics, clinical procedures’ standards, patients’ personal data protection, informed consent, regulatory issues in drug discovery, biomedical research legislation, toxicology, medico-legal problems such as healthcare malpractice, medical insurance or ethics in medical practice, software protection in chemo-informatics, bioinformatics, medical informatics, and social sciences, taxes in the biotechnology industry and causality/liability in environmental pollution, criminology, etc. The conference will run on-line and free, saving traveling and participation costs (subscriptions, open publication, participation in forum, certificates, etc., are free of cost). Before to submit your work be aware that the editorial process is the same than for a PREPRINT service. Therefore, all works receive doi number and are indexed in databases (GoogleScholar, Publons, etc.). However, the works published here are preliminary communications and not post-print journal papers. In this sense, committee and/or external reviewers check only scope and apparent scientific soundness. The works may receive also comments from registered participants (public post-publication review). The authors are encouraged to submit their works to a peer-reviewed scientific journals of MDPI or other editorials during or after finalization of the conference, as per SciForum copyright rules. In any case, it is the responsibility of the authors, to ensure the veracity of the contents, checking similarity to other works, and carry out a proper citation of previous works. The committee is not responsible of this previous aspects in this publishing modality. In this sense, we strongly recommend the authors to use online text-similarity checking services to avoid any form of plagiarism or copyright violation. Some workshops in this conference series use specialized services to checked for possible text similarity. For instance, some users use institutional accounts for URKUND web server. Please, be aware that the authors may be requested to modify (re-write their texts) the communication in the case that high similarity is detected and reported to the committee. In these cases, the manuscript could temporarily withdrawn until the authors re-submit the proper version. The authors are also allowed to submit short reviews, comments, letters, or discussions of papers already published if they guarantee sufficient difference to previous public contents. 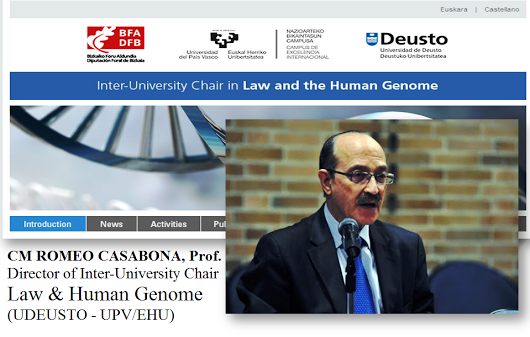 Full Professor University, Director of Research Group: Chair in Law and The Human Genome, Department of Public Law, University of Basque Country (UPV/EHU), Faculty of Law, Campus Biscay, Leioa 48940, Spain. Member of The European Group on Ethics in Science and New Technologies (EGE), Brussels, Belgium. Member of The Council of Europe Steering Committee on Bioethics (CDBI), Strasbourg, France. PANELFIT H2020, Project Coordinator. Professor of Law, University of Maryland Francis King Carey School of Law, Baltimore, MD, USA. Faculty of Law, University of Santiago de Compostela (USC), Spain. University of Santiago de Compostela (USC), Spain. Department of Special Public Law, University of Santiago de Compostela (USC), Spain. Director of the Observatory for Regulation of Public Entities. Director Observatorio de Bioética y Derecho, Santiago de Chile, Chile. Department of Public Law, Faculty of Law, University of the Basque Country UPV/EHU, Campus Biscay, Leioa 48940, Spain. NOTE ON PUBLICATION MODEL: Before to submit your work be aware that the editorial publication model of this workshop is similar to a PREPRINTservice. It means that works presented here have to be considered only as preliminary communications and not as final post-print versions of journal papers. 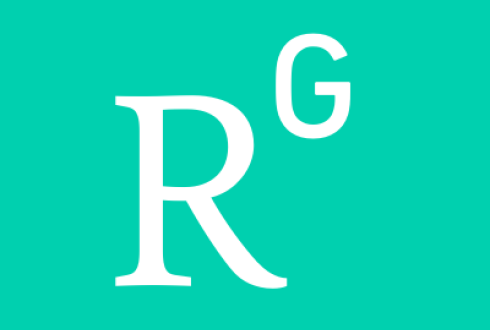 In this sense, even when all the works published are revised by at least one member of the committee and/or external reviewer this level of revision checks only apparent scientific soundness and general scientific interest. In a second level, collective post-publication review, the works published may receive comments (published in the form of posts) from all the participants registered in the conference. The authors are prompted to use all these opinions to write the full versions of their works and submit them to publication in a peer-reviewed scientific journals according to SciForum copyright rules. In any case, the authors are the only one responsible of the veracity of the contents, checking similarity to other works, citing properly previous works, etc. Welcome to the MODEC2019 workshop. 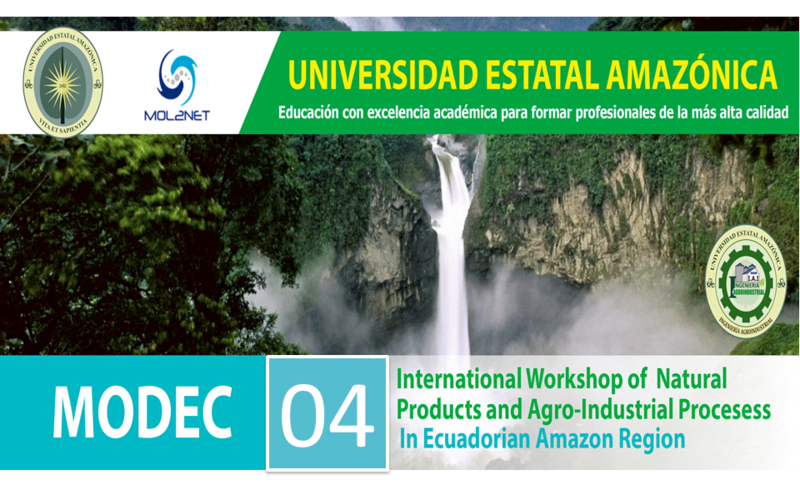 This is Amazon State University's (UEA) first workshop, devoted to the promotion and application of the Multidisciplinary Sciences to the development of natural products and agro-industrial processes in Ecuadorian Amazon regions. This workshop runs both online and on location at the university. The online portion of the workshop is powered by the SciForum platform of MDPI, hosted by the MOL2NET International Conference Series on Interdisciplinary Sciences. 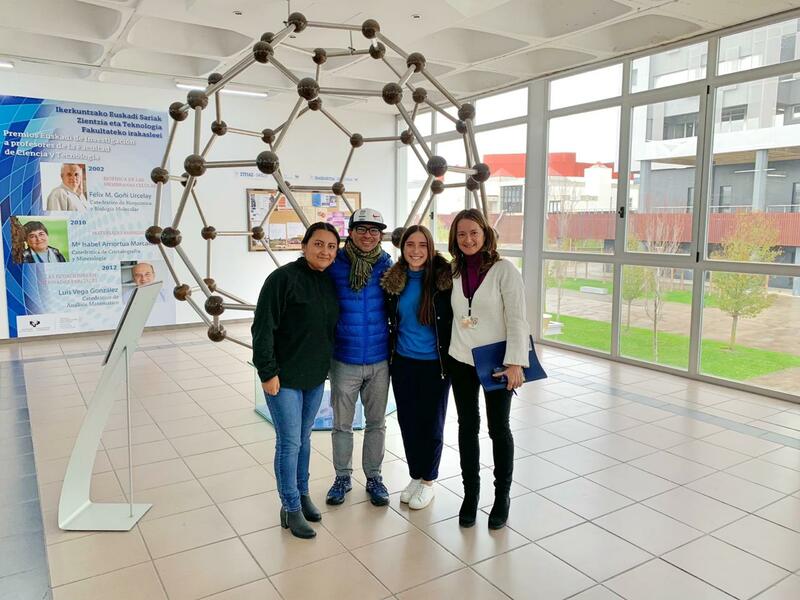 Additionally, the physical component of the workshop is also scheduled to run through the Department of Earth Sciences (Facultad de Ciencias de la Tierra) at Universidad Estatal Amazónica (UEA), Puyo, Ecuador. Please, contact the workshop chairmen for further details. Paper submission is already open and the publication of papers for conference purposes in SciForum platform is free of cost. Publications are expected to be short papers consisting of 1-3 pages. Be aware that the submission is a two step process. First you must register and submit a tentative title, authors list and abstract. Next, you need to submit your full publication upon acceptance of the abstract by the committee. Full publications will be published online, free of charge, with doi number as soon as possible after acceptance. If you are planning to submit a publication, please use the following template, MODEC Template.doc. Click on the following link to register and/or submit your communication Sumit to MODEC here. Abstracts submission until 2019-Oct-01, Envio de los abstract hasta el 01 de octubre de 2019.